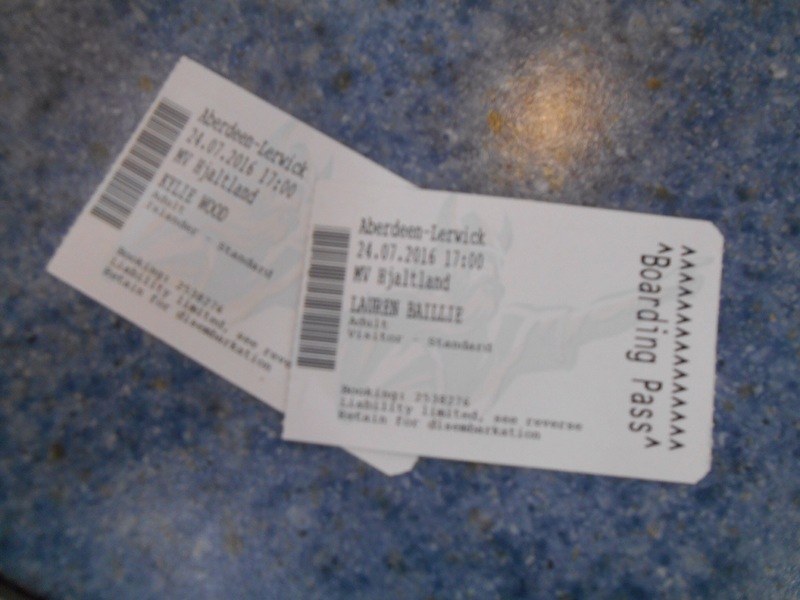 So it was my turn to host Lauren in Shetland. To really show off all the beauty and magic that this remote island holds. 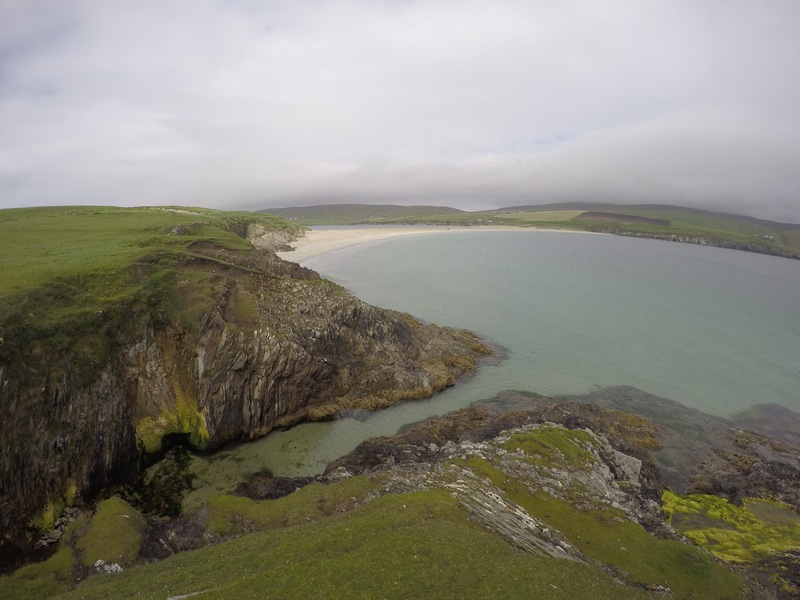 Maybe i’m slightly biased but Shetland is one of the most stunning places I have ever experienced. 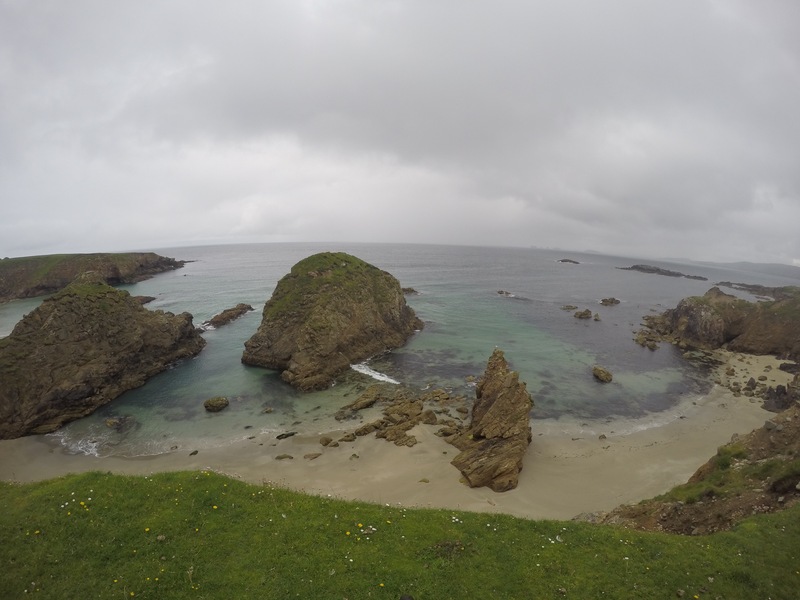 Since going away two years ago and seeing so many places, I have come to appreciate the rough and rugged landscape of Shetland even more, I recognise the true sense of community and friendship that comes with a small place and I see how spoilt we are with the wildlife that is on our doorstep. I was excited to take Lauren on a whirlwind tour of my home. We explored, walked, drove, watched, ate, drank and danced our way into completing these activities and seeing these places. But I’ll let Lauren do the writing about all of that! 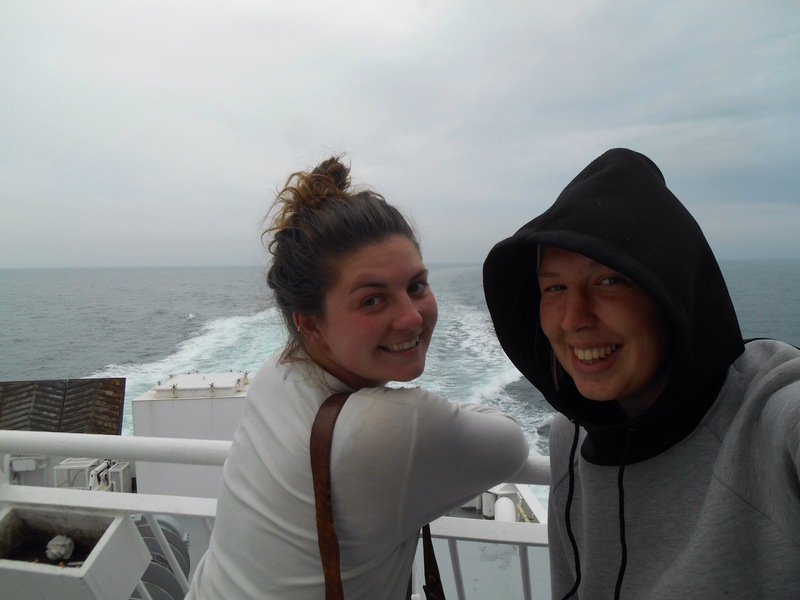 After an over night bus from London to Glasgow, a wake-us-up coffee in McDonalds, another bus through to Aberdeen, a hair cut, then onto the ferry for the 14 hour crossing to Shetland, Lauren and I had both officially gone slightly mad. While in transit we played every two player game possible. 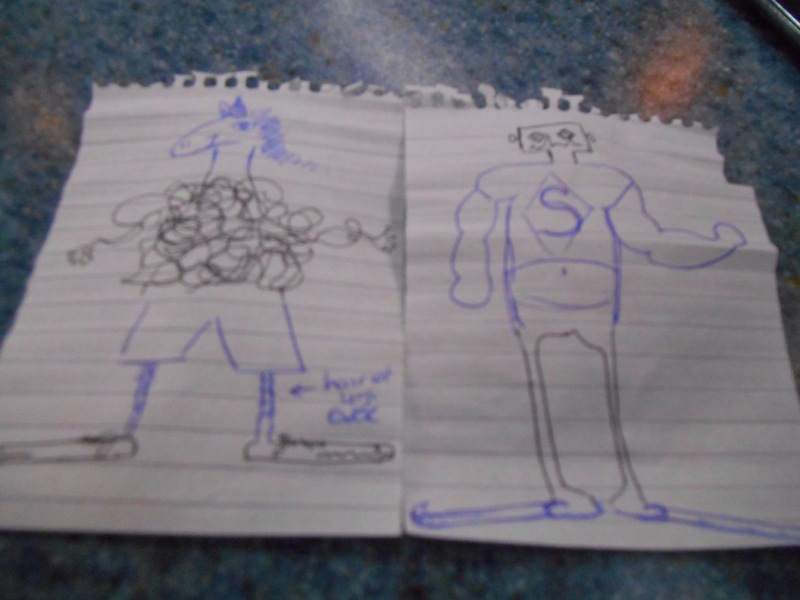 With limited resources and no wifi we needed imaginative and creative ideas to keep ourselves amused. We purchased cards and played each game to death, we read Roald Dahl rhymes and stories to each other, we secretly wrote predictions for each others life in one years time (my little folded scrap of paper is still in my purse to be opened on 24th July 2017), we drew tattoos on our arms, caught raindrops, did a kids treasure hunt and we even played ‘guess the word in my book’. After the 38 hour journey, thankfully we had arrived safely. I’m not sure I could say we were still sound though. 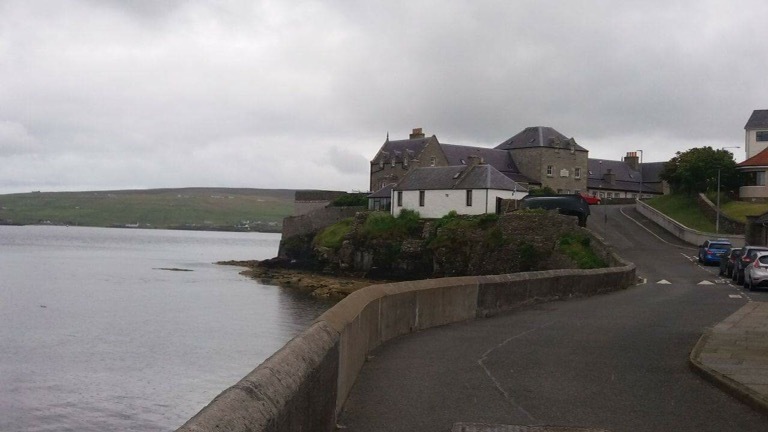 Lerwick, the capital of Shetland and Kylie’s home is 216 miles from Aberdeen, 269 miles when travelling via Kirkwall in the Orkney Isles. 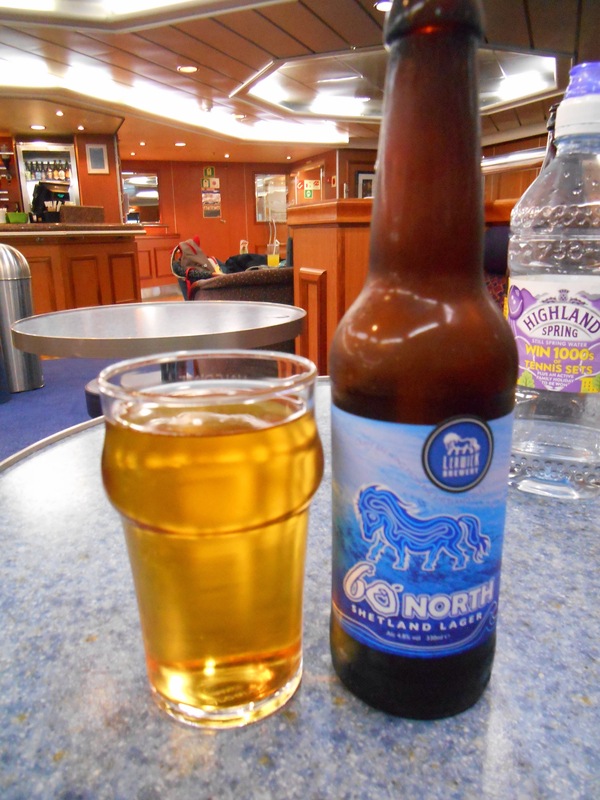 We were onboard the MV Hjaltland, the old Norse name for Shetland and our crossing was calm and clear. As we looked over the map, we excitedly mapped out a few places to explore. 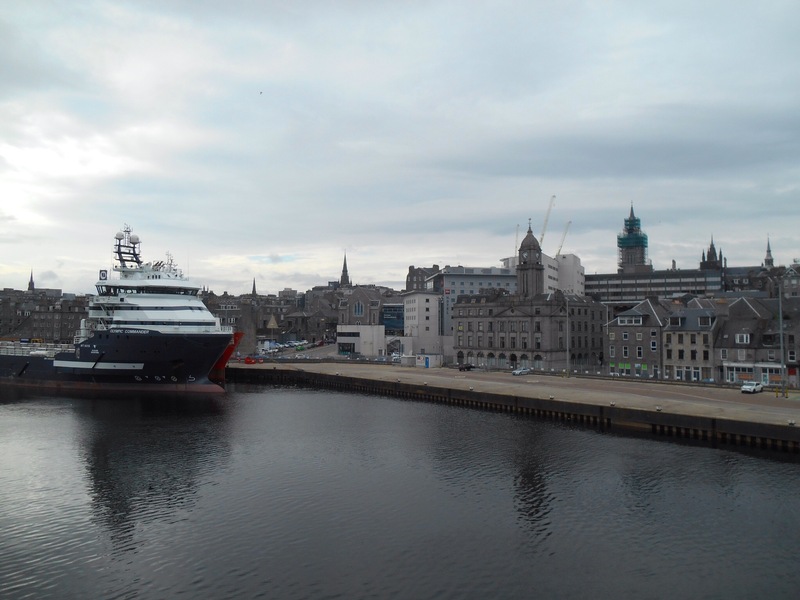 The boat stopped in Orkney at 11pm and then we slept in the back bar until we received a misty welcome into Lerwick at 7:30am. It was a warm welcome meeting Kylie’s mum, Anne and we drove back through the town to their house on the hill. It was Dreich (misty) and the clouds hung low but as the mist cleared you could see the house stretched out below them and a pretty stretch of coast. It was a day of hellos as I met the family, Kylie’s friends drifted in and out, a welcoming open door in constant use and lots of cups of tea. Catching up on the activities of the community was a long string of ‘so and so,’ you know, thingamys daughter. 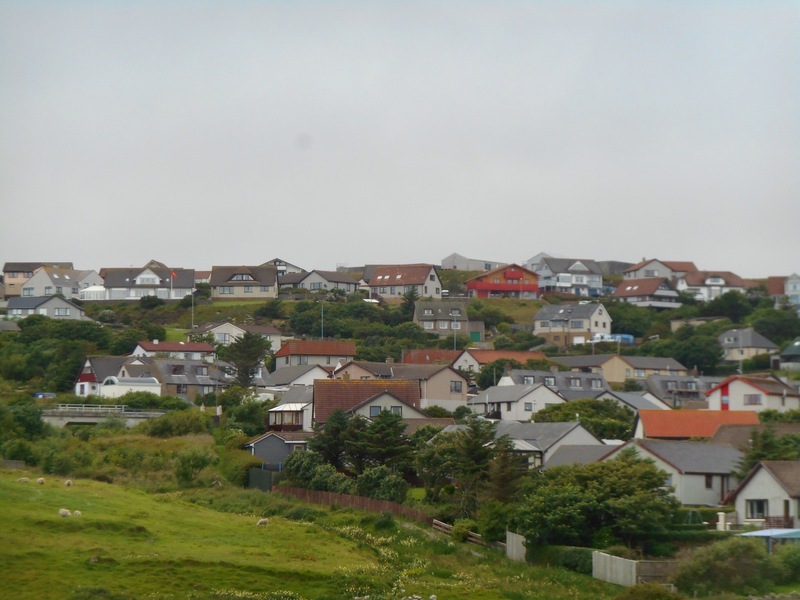 Shetland has a population of around 27,000 and although it has 100’s of small islands, it is comprised of three main, Mainland, Yell and Unst. 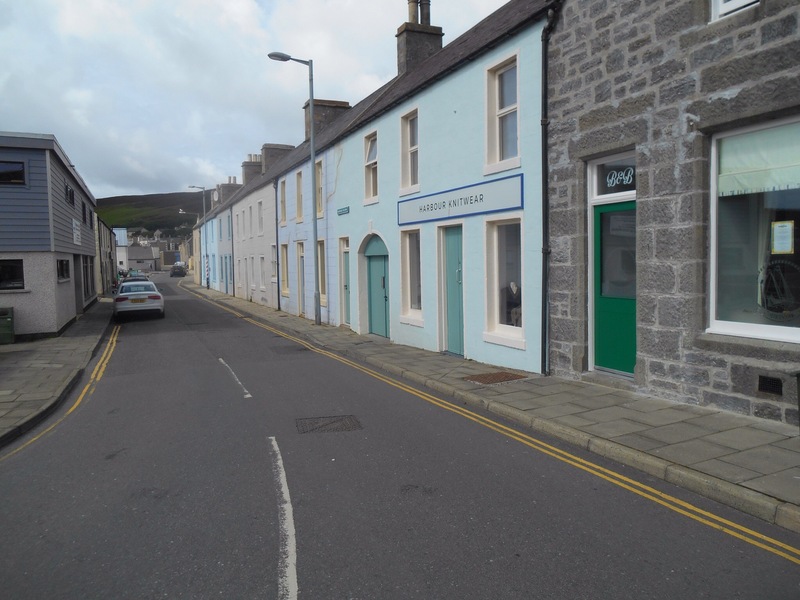 With 7,000 living in Lerwick, the network is surprisingly tight, most people known to most people. 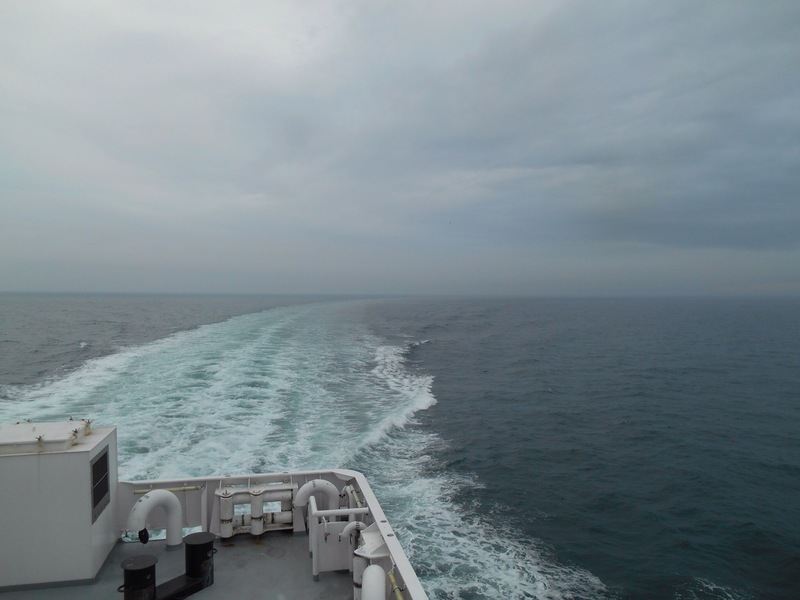 It was unusual to have travelled so far and still hear them joking about the distinction between ‘toonies’ and ‘yokels.’ To an outsider, what is a little bit more remote when your already 8 hours by boat from the next landmass? 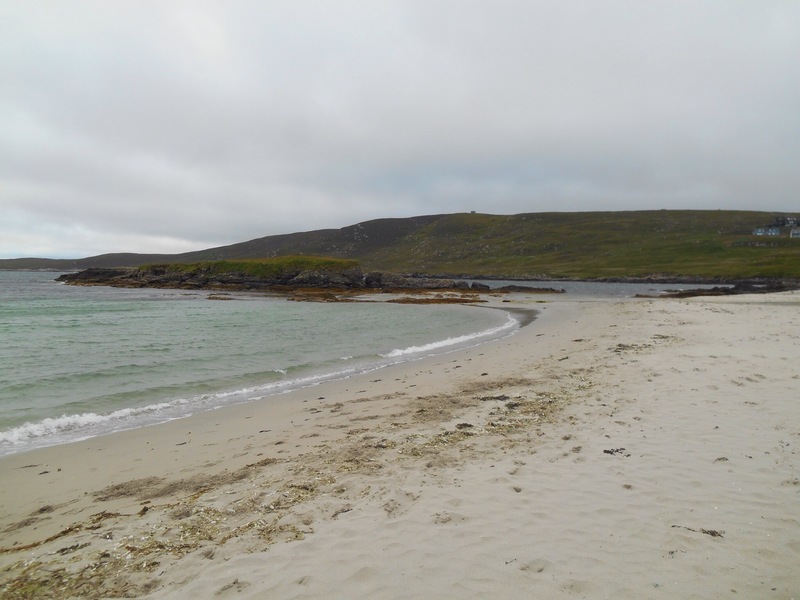 After a late lunch, we took a short walk down to the coastline and along the sands of sound. The water is remarkably clear and splashed up on the rocks forming little rockpools with anemones and limpets around the edge. After a family meal, lots of chatting and laughing, we made for bed, exhausted by a long commute. 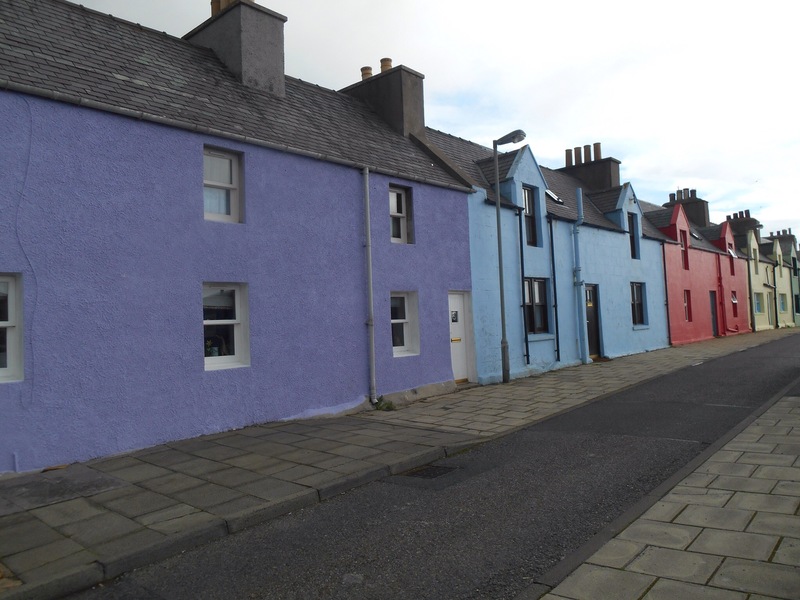 Lerwick already felt homely. In the morning we rolled through to the kitchen for a leisurely breakfast (I was introduced to a Scottish treat, Butterys!) 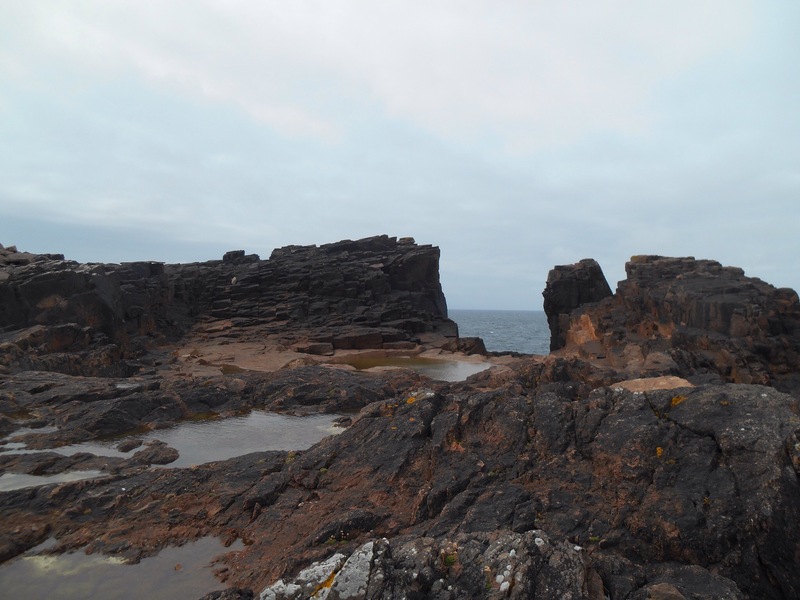 and it was decided we would head north for the day to Esha ness (pronounced eysh-ness) for a coastal walk. On the way we passed through rolling valleys and greenery, a land completely barren of trees, then entered ‘North Mavine’ through the Mavis Grind, supposedly the closest part of the U.K where you can toss a stone over a stretch of land and from the North Sea, returning it with a splash into the Atlantic Ocean. 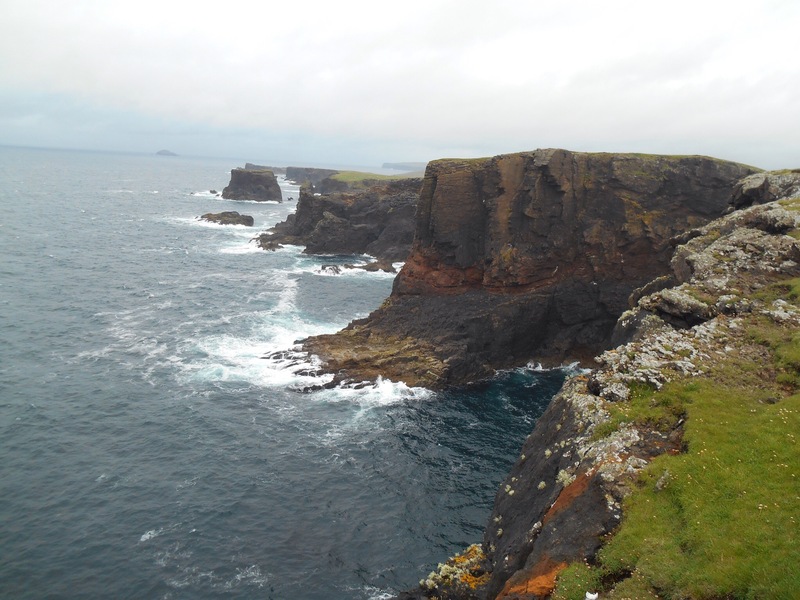 A lot of this area is used by Oil companies, a massive although recently declining industry in Shetland. 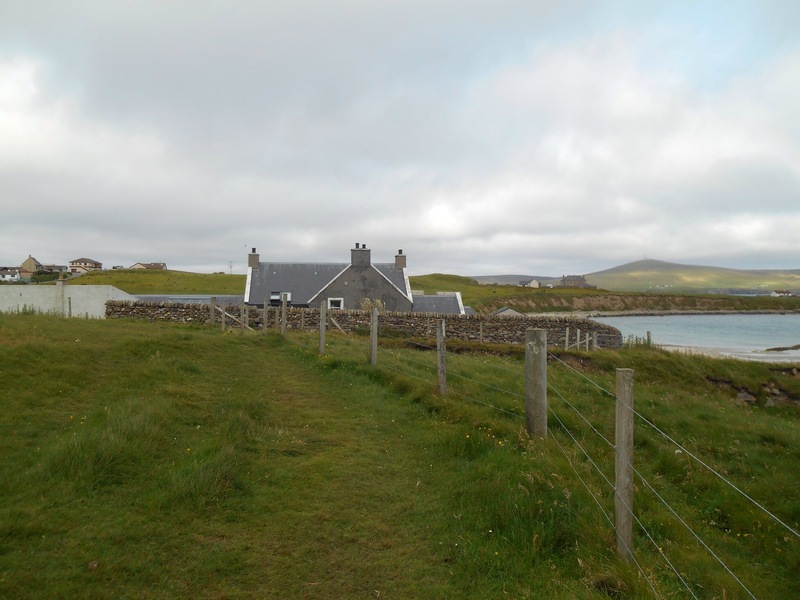 We drove up to Sullom Voe and to the oil offices and floating accommodations, a place where many spend their time behind closed gates to the rest of Shetland. Parking up at Eshaness lighthouse we were able to walk along the steep cliff coastline where land dropped off suddenly into sea. 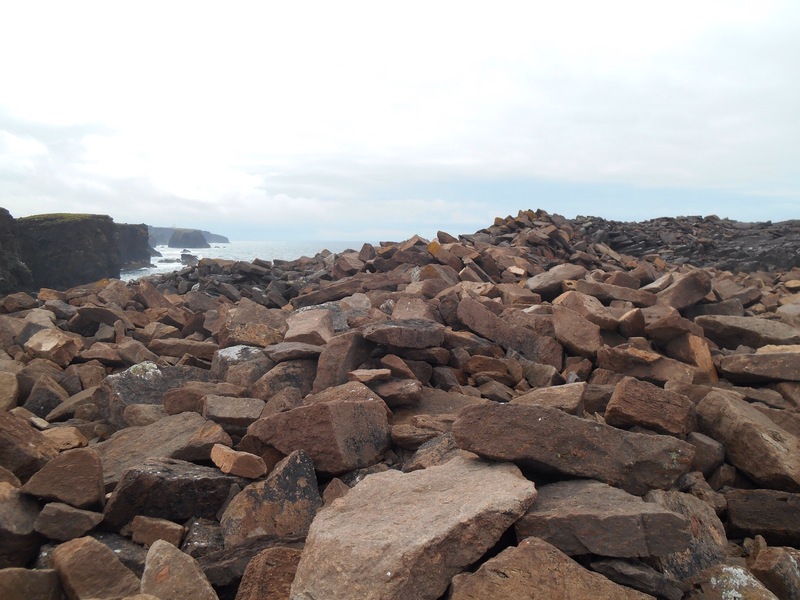 The winds challenged our balance and has certainly played a big part in forming the rugged coastline as further along at Grind o da Navir, lumps of huge rock had been tossed with ease inland forming a mosaic of jagged shapes. 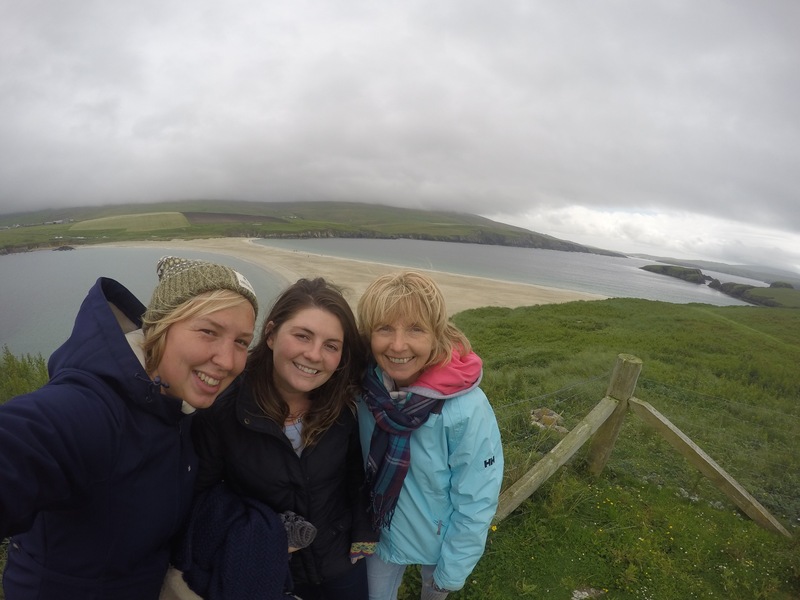 We clamoured over the rock, the lighter colours revealing recent conquests and sat down in the cliff edge waiting for the dramatic waves to round off our selfie. Still a huge wave managed to take us quite unprepared and send us soaking into a fit of giggles. In the evening, Kylie and I went for a coffee at Fjara, a cafe which sits on the slets in the Braewick bay. 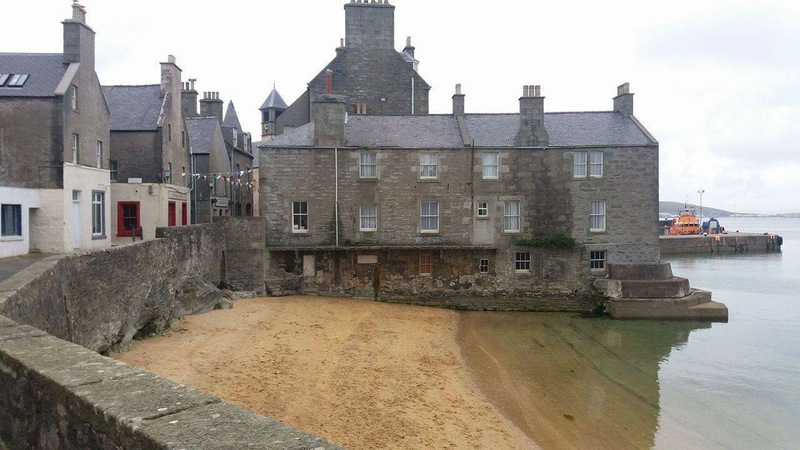 With its big glass front it is a beautiful place to admire the town and coast. I am assured usually frequented by big, fat grey seals sunbathing on the rocks. In the morning we girlified ourselves having our nails done by Kylie’s lovely friend Josie, before heading out on a whale adventure. The last week had seen lots of Ocra’s around Shetland, some causing quite a stir as they hunted seals right in the town bay, some even racing over to check out a lady doing her morning swim. With such excitement going on we were determined to join in the action and were monitoring the Facebook site eagerly for tip offs. 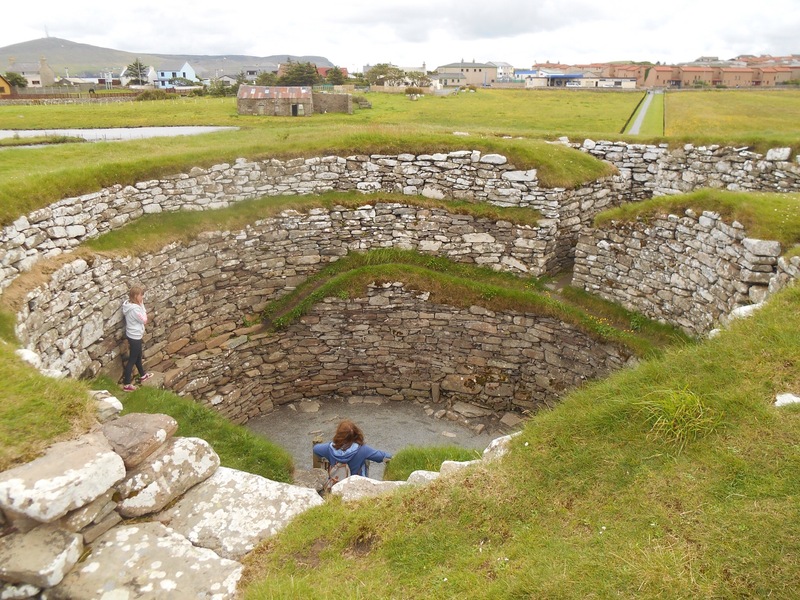 With sightings being mentioned in the east we headed off to Walls (pronounced Waas) following the coastline with our eyes peeled. A new update sent us further along the coastline where we beat the whales and after half an hour of anticipation, a bull and two young swam past. They moved fast, their long dorsal fin marking their playful leaps through the water, quite incredible, although we greedily wanted more. Many of the keener spotters had binoculars and we followed them along the coastline in the car in the direction we anticipated they would move. 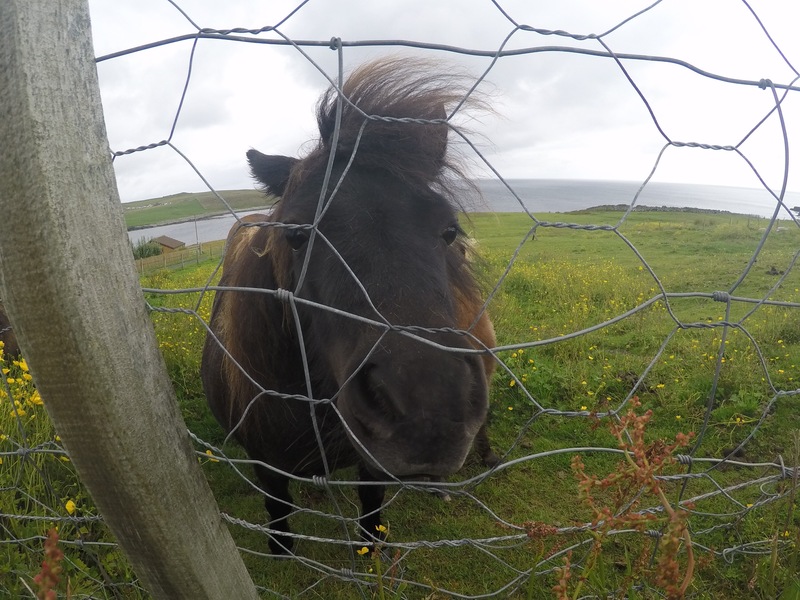 No more whale action although we pulled up next to some very inquisitive Shetland ponies who followed us along the fencing which marked their perimeter. It was Kylie’s brother, Roy’s birthday and we were going out for a meal. On the way to town we stopped in at Kylie’s grandparents in their brick townhouse across the way. An enthusiastic welcome followed by some fast and excitable conversation meant I could pick up the jist of maybe 3/4’s of their broad accented chat, enough to know they weren’t impressed with Roy’s ripped ‘breeks.’ We had dinner at Hays dock in the museum building, followed by drinks at Mareel, the cinema building. Persuadable after a few gin and tonics, Brian, Kylie’s dad suggested we checked out Da Lounge, where Wednesday’s meant live traditional music. The cosy upstairs bar was packed and jolly with music from different instruments and we commandeered a group of Americans who seemed lively to join in with their games. When the night ended up back at Kylie’s with shots of Brenevin, the plans for the next day seemed in jeopardy. Sure enough the morning was slow and we decided to explore closer to home, the town centre. 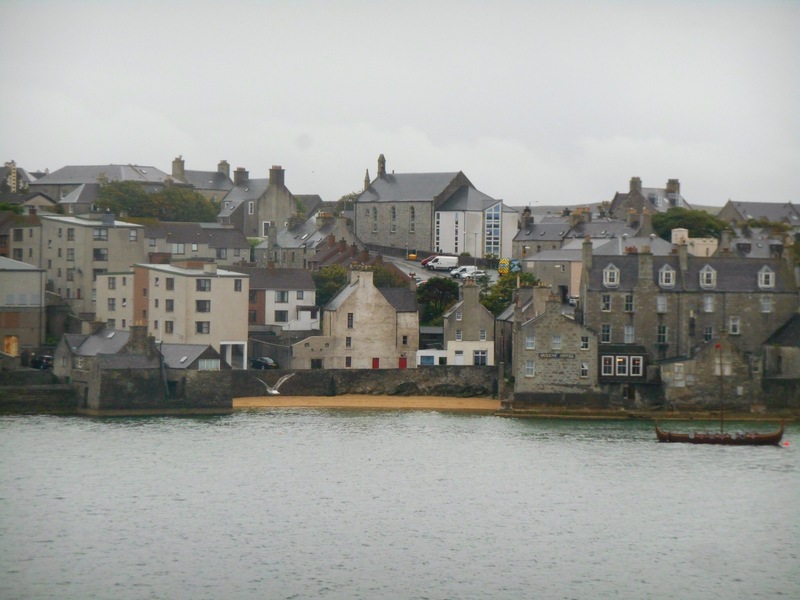 From the harbour, buildings span out through market cross, unique one offs and souvenirs supplying the islands shopping needs. 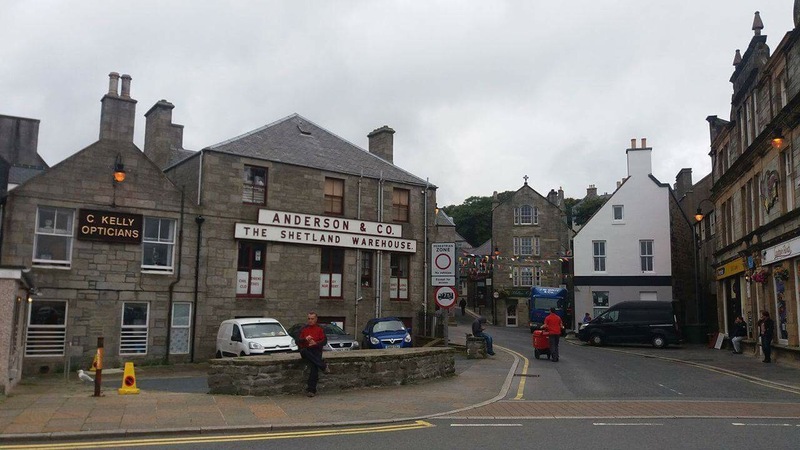 We stopped at the fudge shop for some essential souvenirs then made for the town hall and Lerwick flower park, where Kylie had to put her head down to “appreciate her surroundings” for a little while before we could continue. Our retreat from town was just as beautiful. 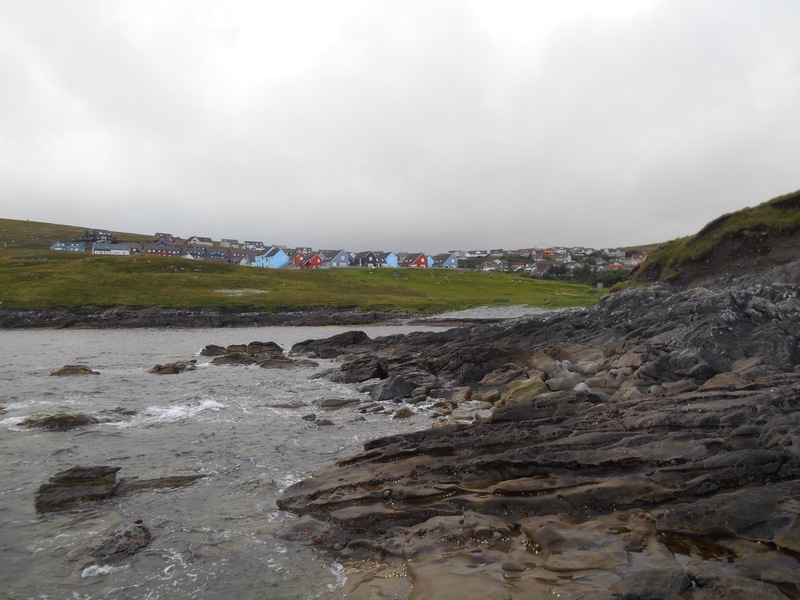 We followed old streets past fishermen’s boats to the knab, a peninsula with a vantage point of town and out to sea. That evening more of Kylie’s friends joined us for dinner at the house. Our next adventures were to be south. 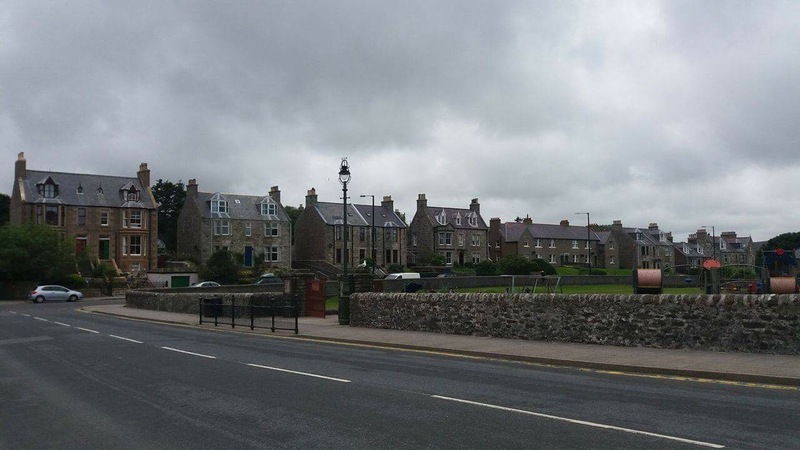 Kylie, Anne and I set out taking each diversion off the main road to pootle through interesting little towns like Fladdabister, Sandwick and Hoswick, a tiny school, church or craft centre nestling itself amongst a few houses. 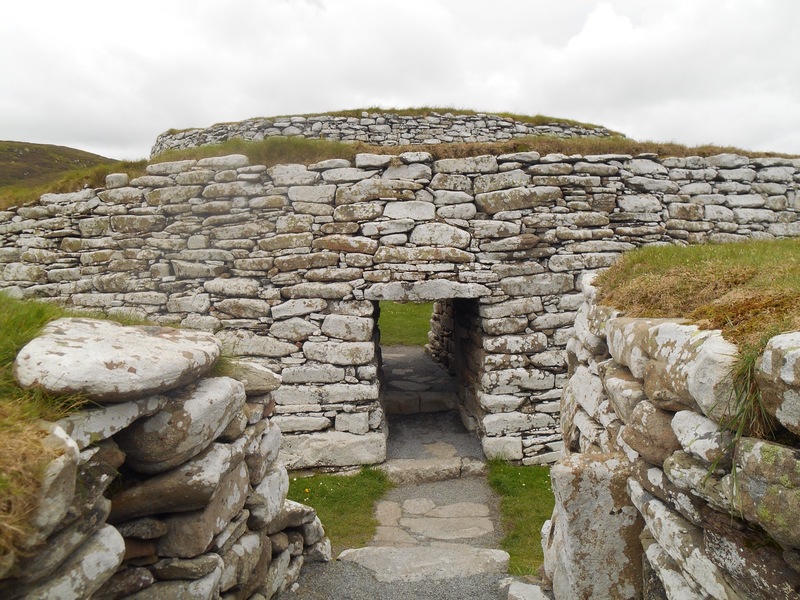 All around, stone ruins lay in differing states of use or disrepair, marks of older settlements. 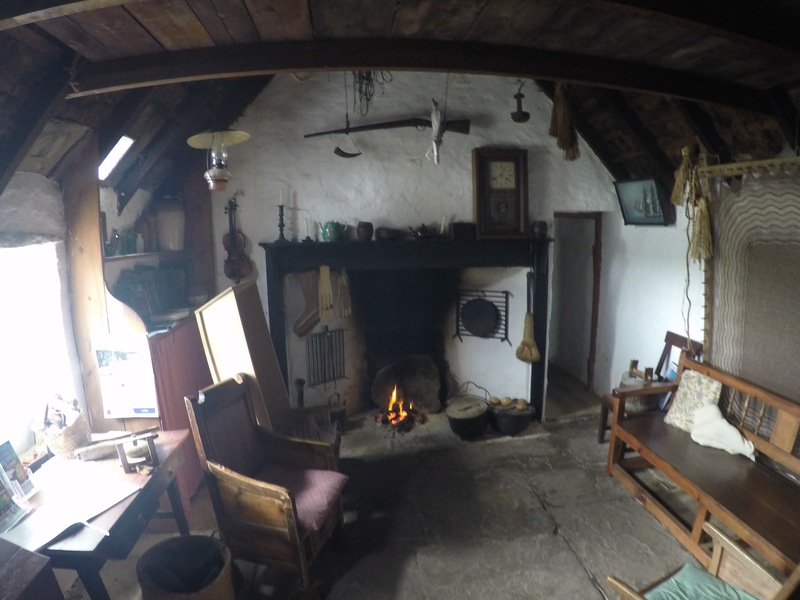 We stopped at a croft house, open to the public. 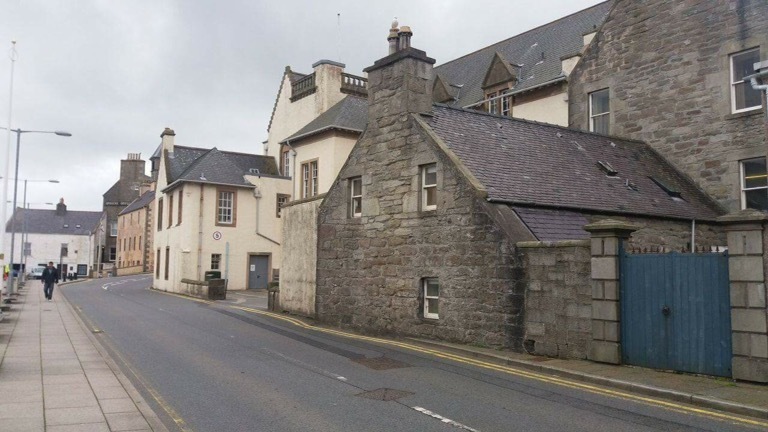 It was built in the 1850’s but true to the much older style of these houses with two rooms and a burning peat fire. The two parts were the ‘best end’ for entertaining and the ‘but end’ for living, food prep and everything else. 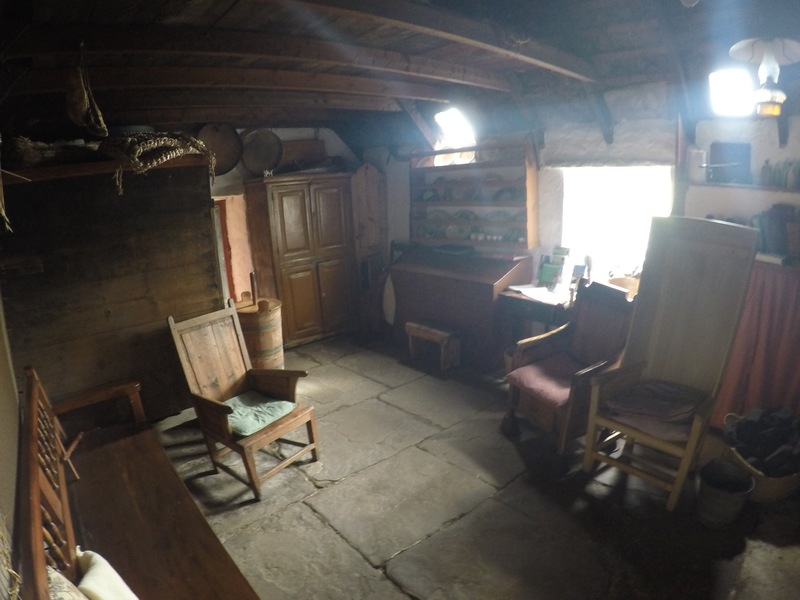 The doors were small to retain heat and inside the pungent, smoky peat filled the rooms. 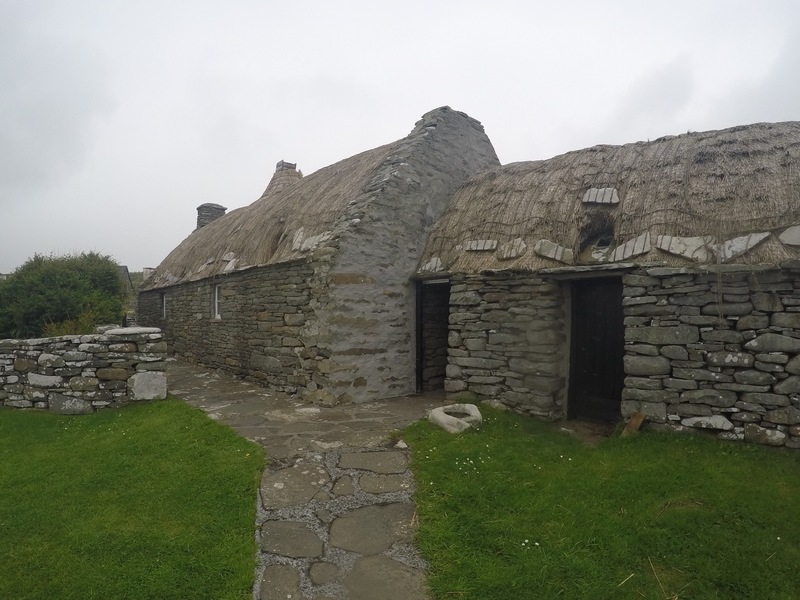 The house was filled with tools highlighting their resourceful lives, the peat cut and dried over months of work from a few miles north, animals kept to remain self sufficient, tools to keep the crops and make the thatch for the roof. In the best end, two box beds to be slept in sitting up, this house would sleep up to 14 people! 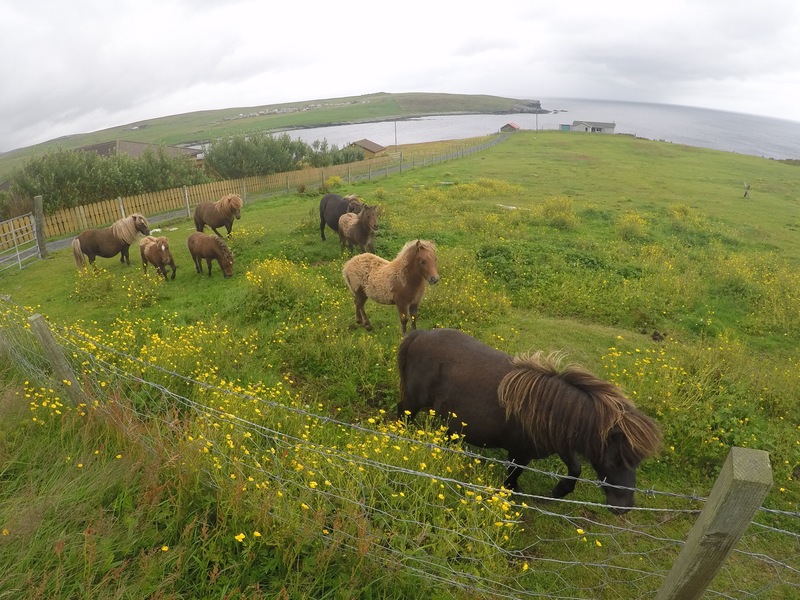 Outside the house a friendly group of Shetland ponies gratefully devoured our crumbled oat biscuit. Further south still the island flattened out and we passed the tiny Sumburgh airport, the other way to leave Shetland. 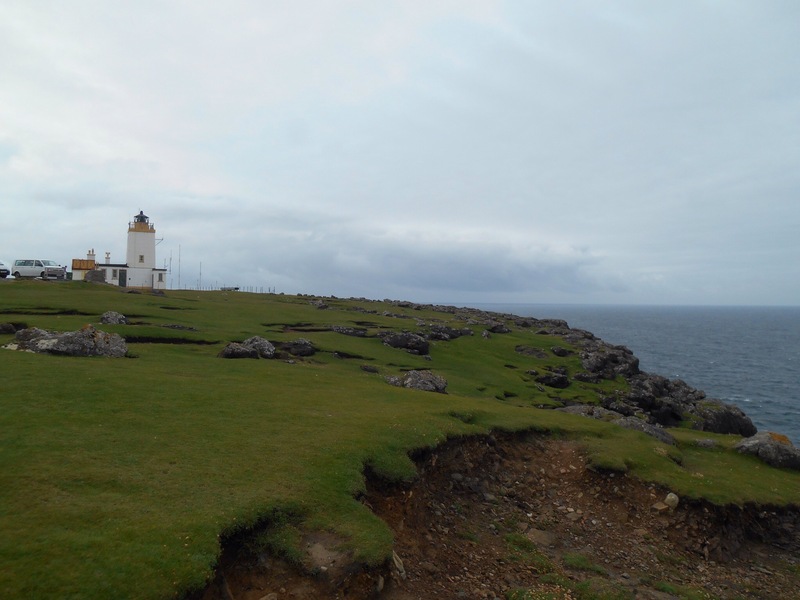 The land then climbed steeply to the lighthouse. 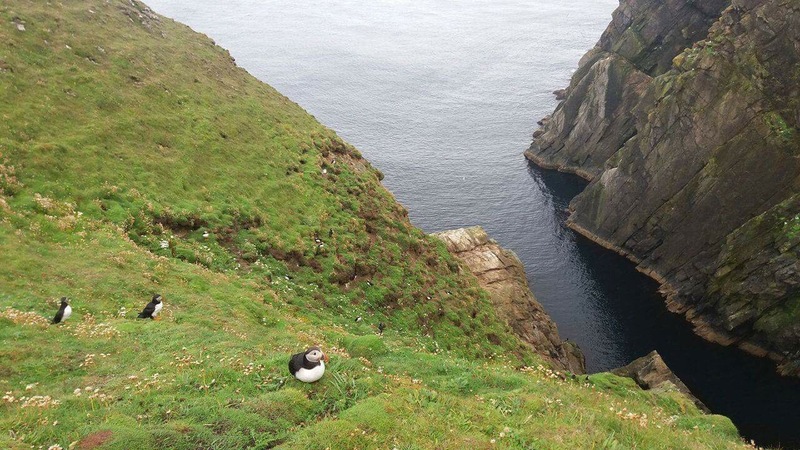 On the steep cliff sides, puffins had made their nests, here for the summer months. 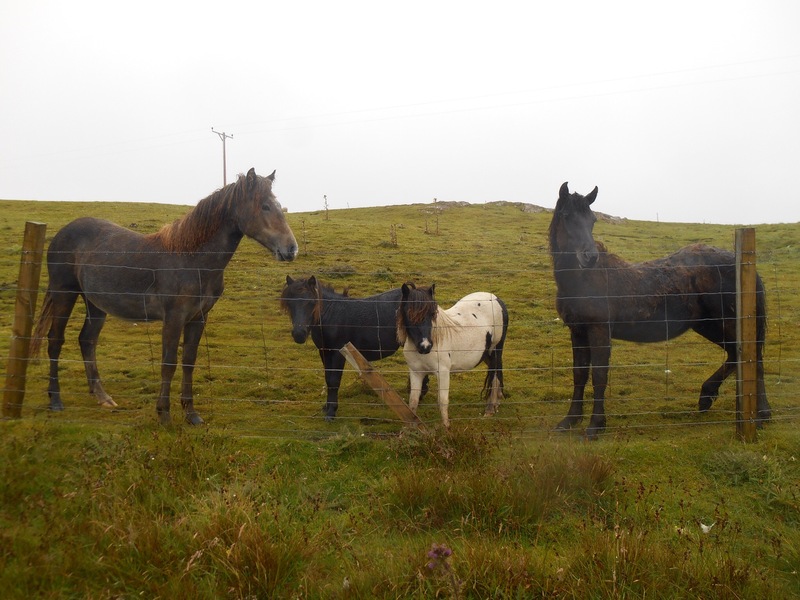 The Shetland word for these beauties in a Tammie Norrie. The hillside was full of burrows where the young were being nurtured, the parents hunkered down in the grass or flying in and out. Their size is what surprised me most, not truly represented in pictures I had seen, their colourful beaks and orange feet looking overgrown on their tiny bodies. With such big feet, watching them walk or fly is comical for as they land they untuck them like the wheels being released from an aircraft. 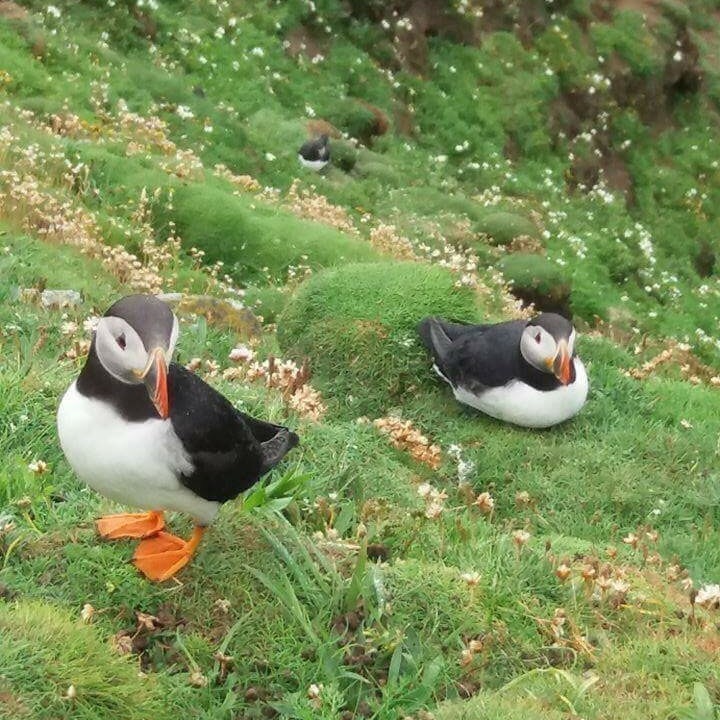 They had two spots, and maybe 40 puffins were busying themselves across the two points. 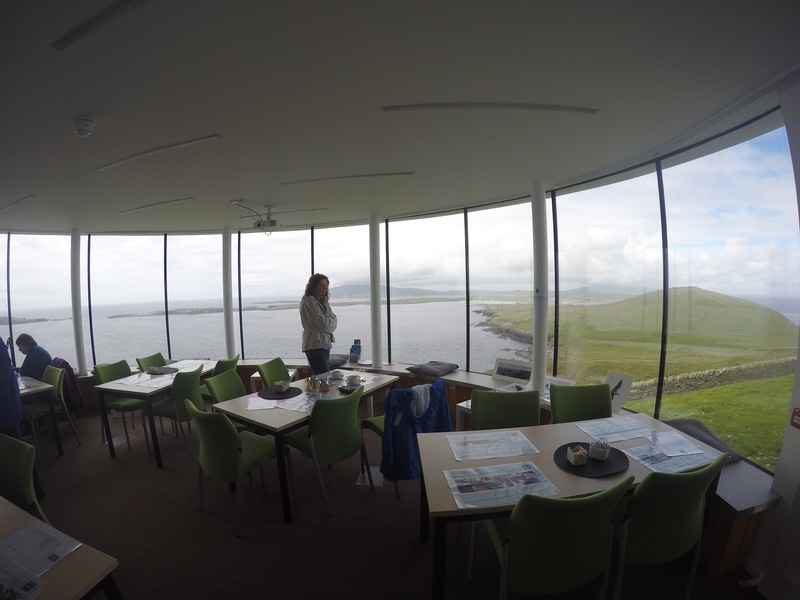 The lighthouses lower room had been opened up to be a cafe where we had tea and cake and watched the birdlife go about their daily lives outside. 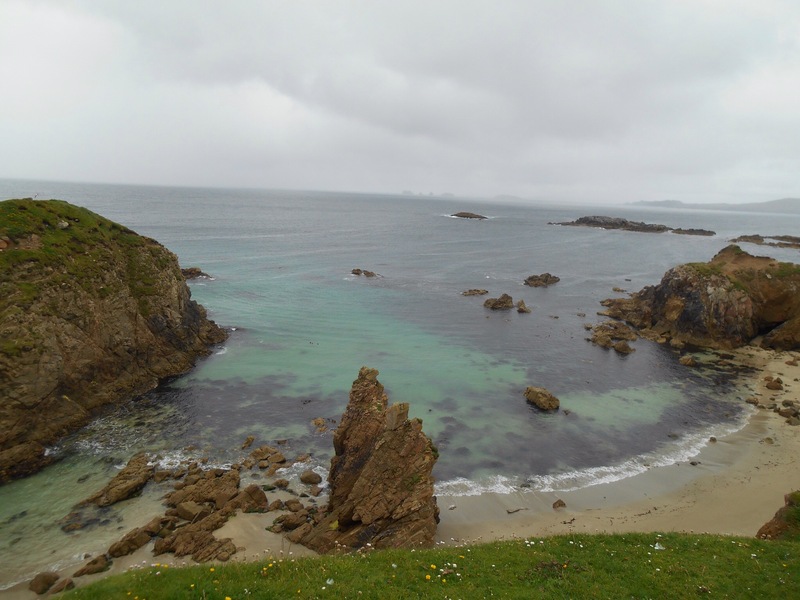 As we headed north again we went along the west side of the island stopping at St Ninians beach. This white sand spit connected the mainland with a small island. 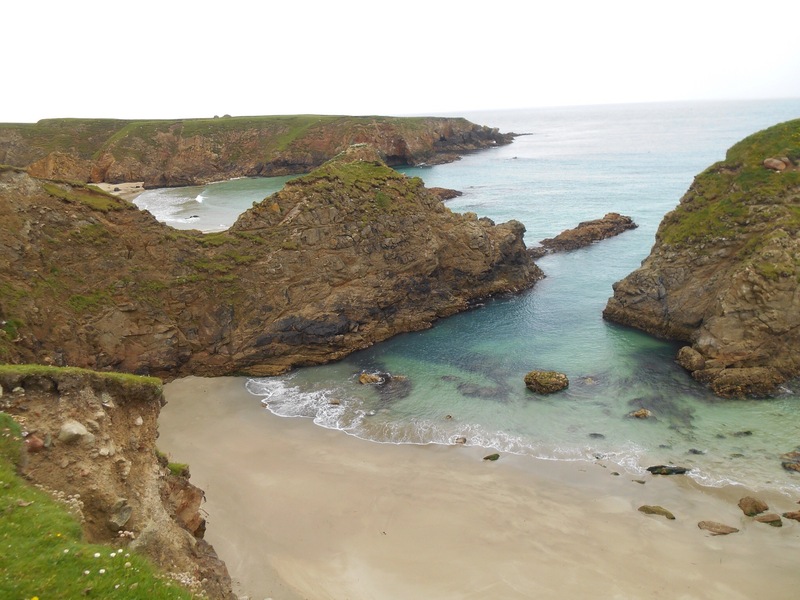 It was a stunning spot, with clear water and white sand it could have been convincingly Mediterranean had it been warmer. We practiced skimming stones into the sea. 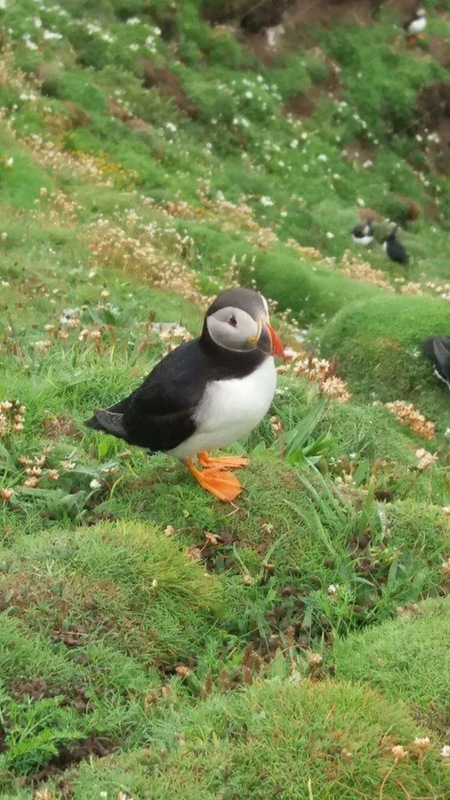 Having recently learnt a few of the birds in Iceland, I was now relearning them again in Shetland, Bonkseys and Terrecks (am I spelling these right?) 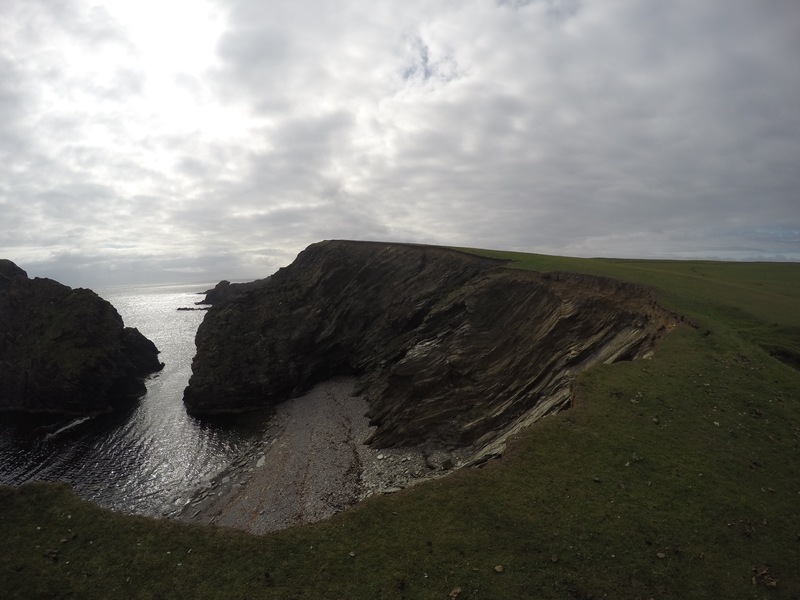 We walked on St Ninians Island, the dramatic coastline meaning it has been chosen for many film sets. Saturday was the time to put my new walking boots to the test as Kylie and I headed north once again. 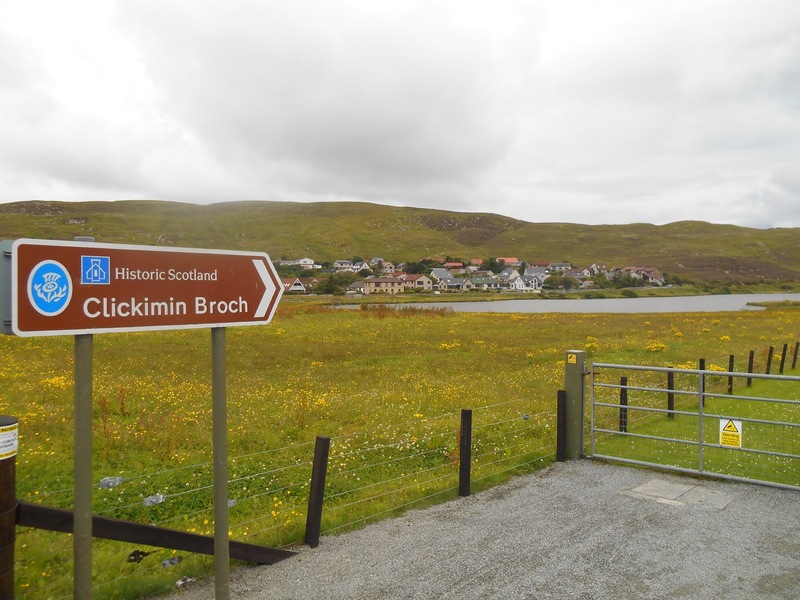 We parked in Sandyvoe, a collection of two farm houses and a cemetery it seems. 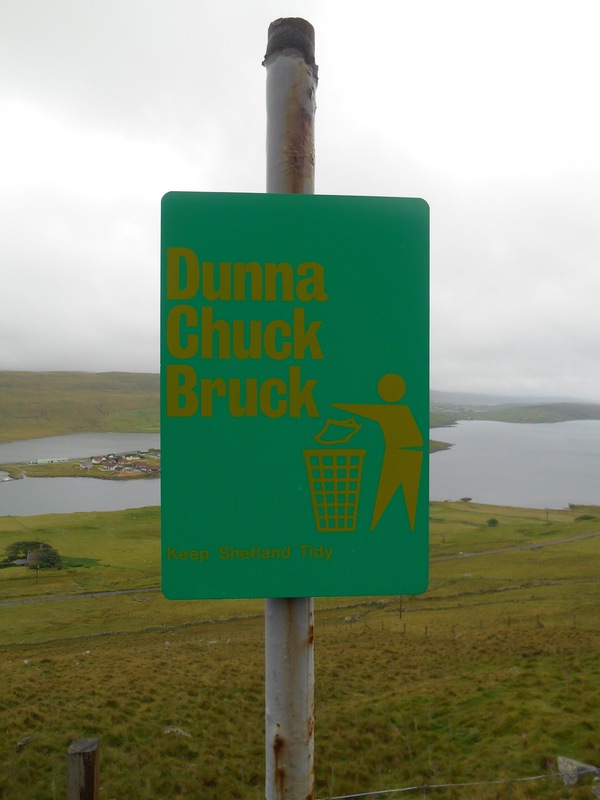 This walk which is said to be one of Shetlands best, was not signposted save for an access route marker pointing through a sheep field. Using a simple screenshot overview of the walk we made our way to the coast along the hillside which rose steeply forming ridges which the sheep could traverse much quicker and nimbler than us. 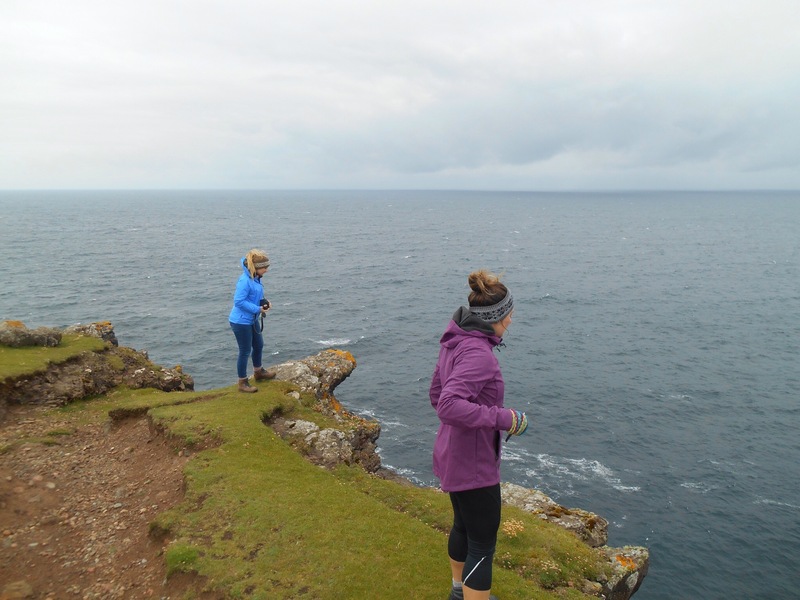 We simply followed the coastline choosing whichever way we wanted, scrambling over fences and the occasional style, keeping our eyes peeled for Ocra’s as we practiced speaking Whale. The exposed northern coast meant pockets of wind followed by suntraps. We had a flask of tea and some strawberries in a stone craa before pushing on over the last hill to see our destination, Uyea. We joked Uyea (pronounced Oi-ya) was maybe the cry of the Vikings as they spotted land, or there joy at seeing such a beautiful beach. 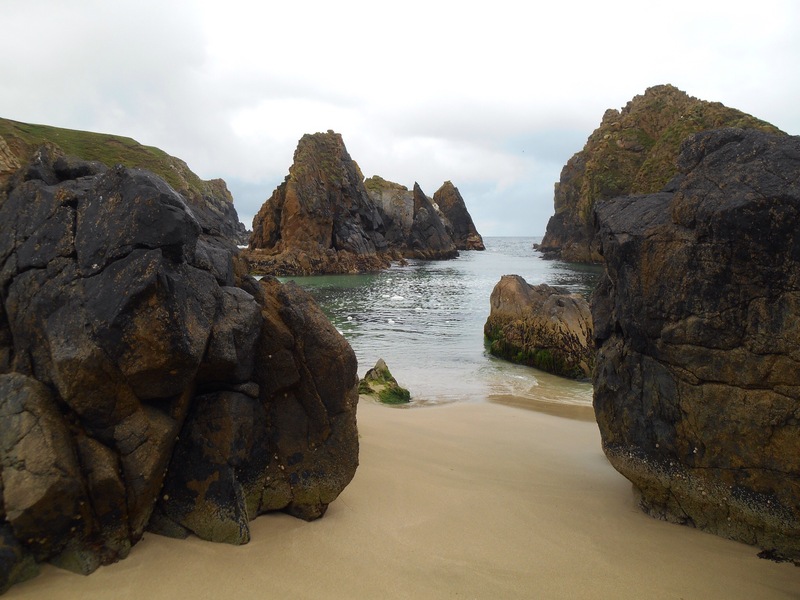 It was once again a sand spit accessed only by scrambling down steep cliff side. We hadn’t seen anyone all day, nor was there a footprint on the perfect beach. Birds and a cheeky seal had claimed this for themselves. 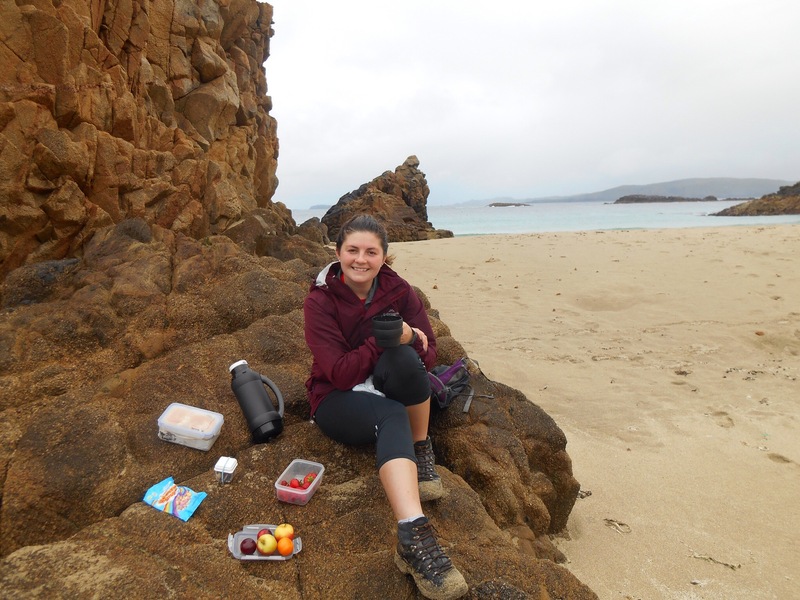 There were rocky inlets all over making it interesting to explore and Kylie set out our lovingly packed picnic on a rock. A grey seal poked his head up very near us, inquisitive, and while we enjoyed his company, we secretly hoped he might attract the killer whales for a closer look. The return journey we crossed farmland before dropping back into Sandyvoe. With sweat and only a little blood we had completed the walk quick enough to make a stop in Bon Hoga cafe and gallery on the return drive. 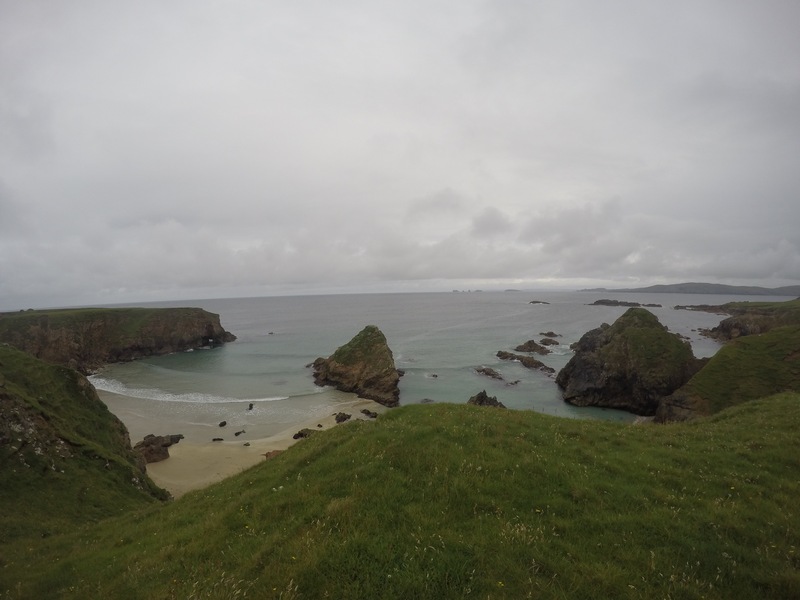 Far from Shetland’s natural beauty, another activity on the list was a night out. 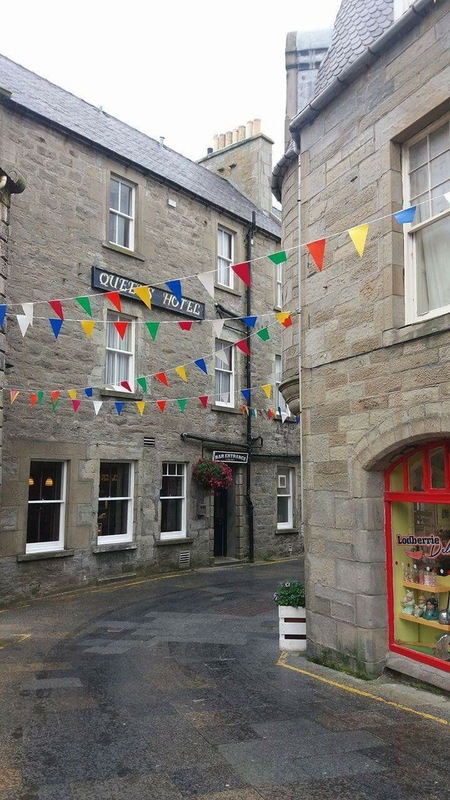 We met some of Kylie’s friends at the Lerwick hotel for a lovely meal and a few drinks. Over dinner and the subsequent evening I was filled in on the town who’s-who, gossip, scandal and what to expect on a night out. True to form, as soon as we stepped out the girls knew everyone in the busy bars. 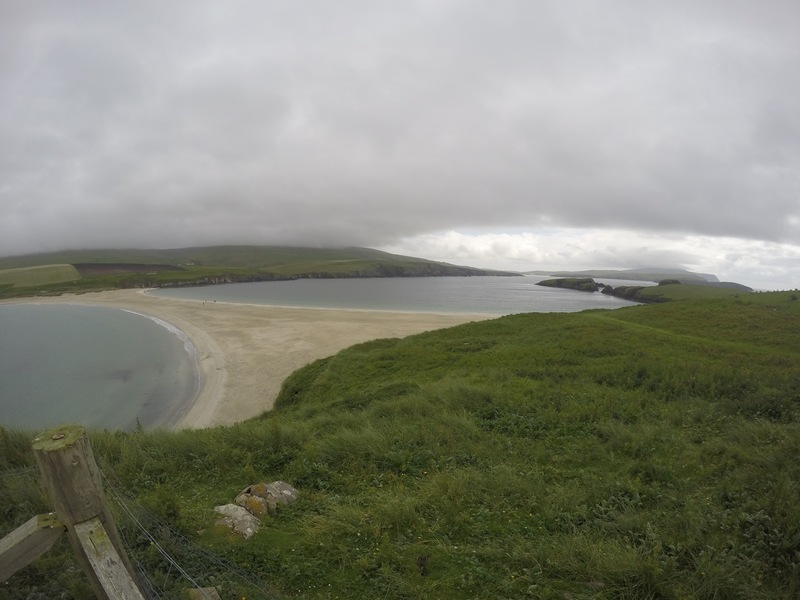 We were encouraged from our beds by the prospect of a last day exploring Shetland. 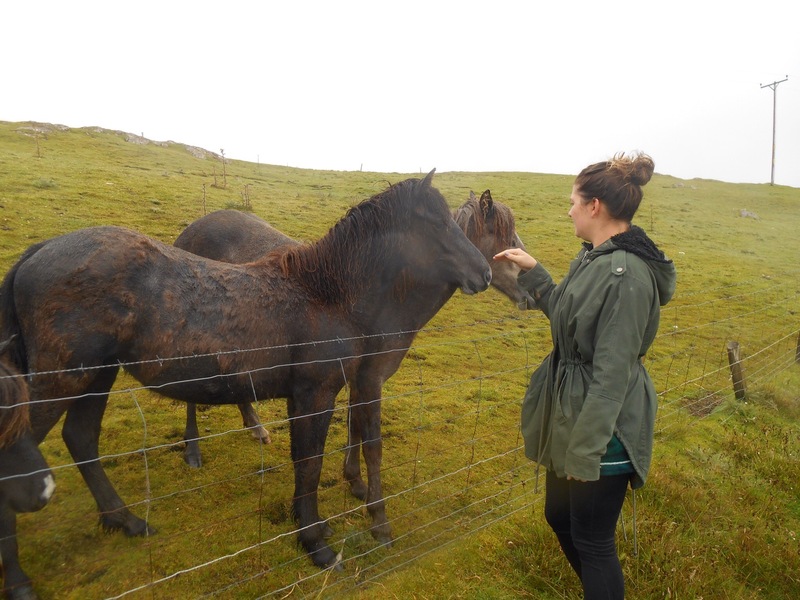 Anne’s tour services took us first around Lerwick to see manicured Shetland ponies, then up to the Quoys for a nice vantage point over the town. 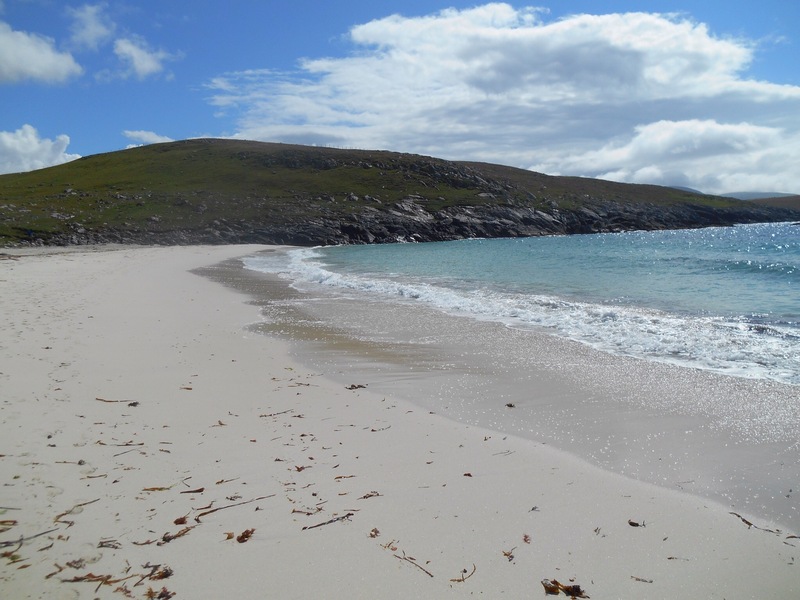 With many more hidden treasures to explore we made for Burra on the east side of the mainland, our first stop another picture postcard beach, Meal beach. 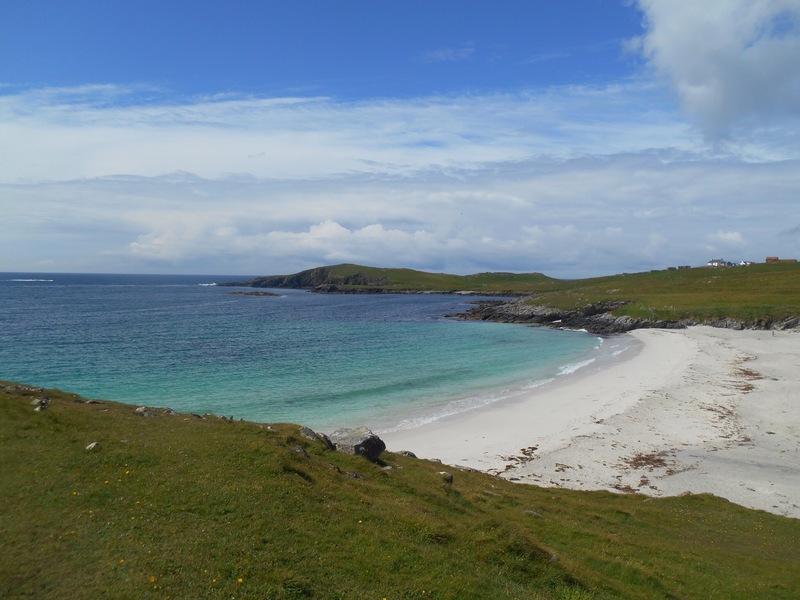 The white sands were enticing and we slipped down onto a hidden beach just beyond. While the sun was warm, the cool winds made us resist the temptation to sunbathe like the only other patrons on the beach. 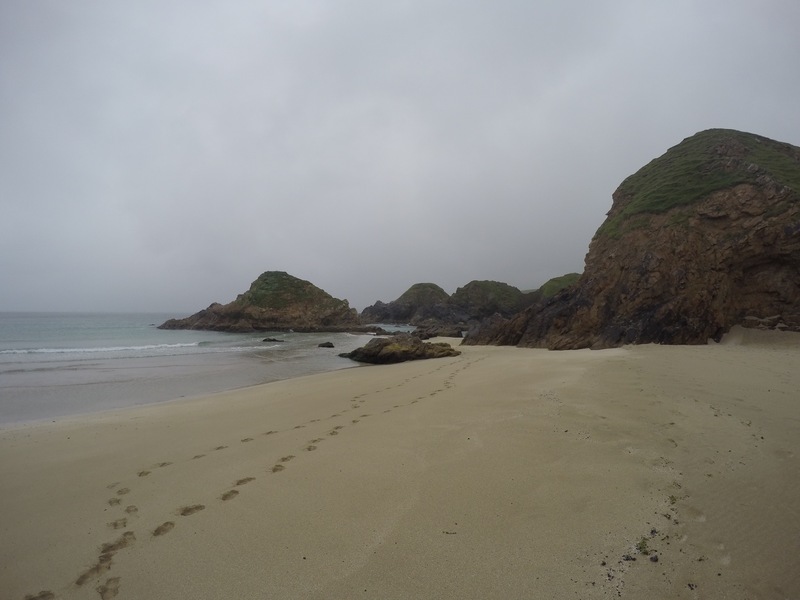 From a family sized private beach, Kylie discovered a one person spot of sand in the rocks. A bit of clamouring later and it became a challenge to straddle the rock above this spot of sand, one foot on either side. Determined as ever to meet a challenge I attempted it, making it look oh so easy I’m sure, but with the tide creeping in underneath me there was no failsafe way down. Kylie and Anne, the laughing observers, were able to capture the whole thing on video! 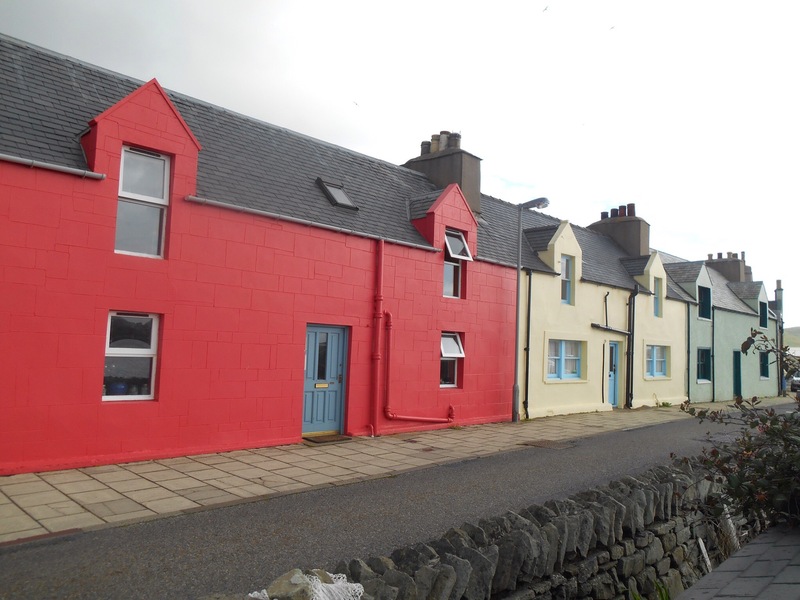 We drove through the pretty hamlet of Hamnavoe and then returned to Scalloway for lunch at a pretty cafe on the harbour side. 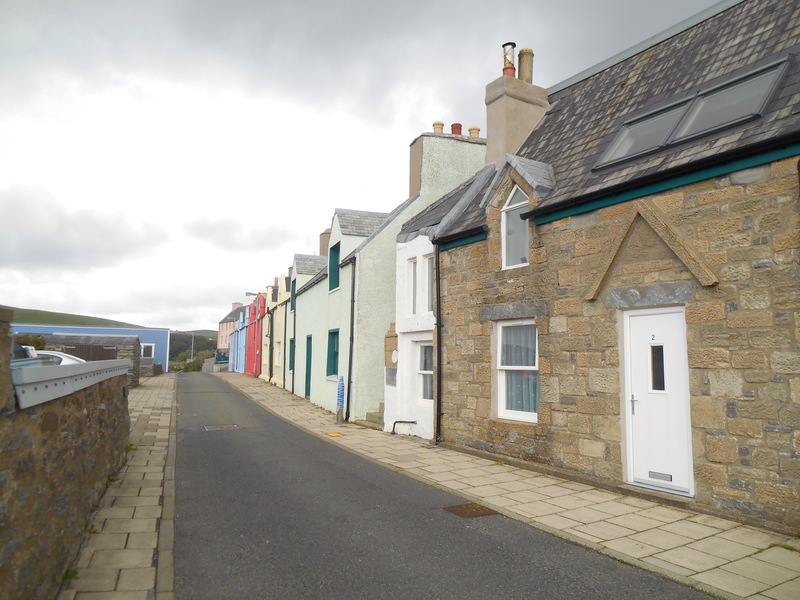 The port town was Shetland’s former capital and was a pretty mix of new Scandinavian housing, a castle, fishing boats and even its own road of Ballamory style housing. 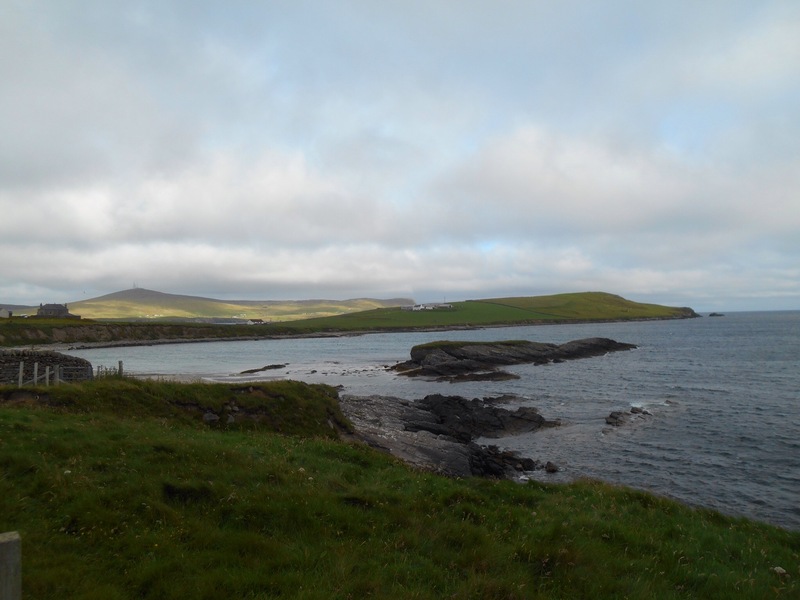 With a rumour of Whale sightings we sped back to Lerwick to look out to sea from Nessa sound. No whales appeared despite the seals lolling lazily on the rocks. 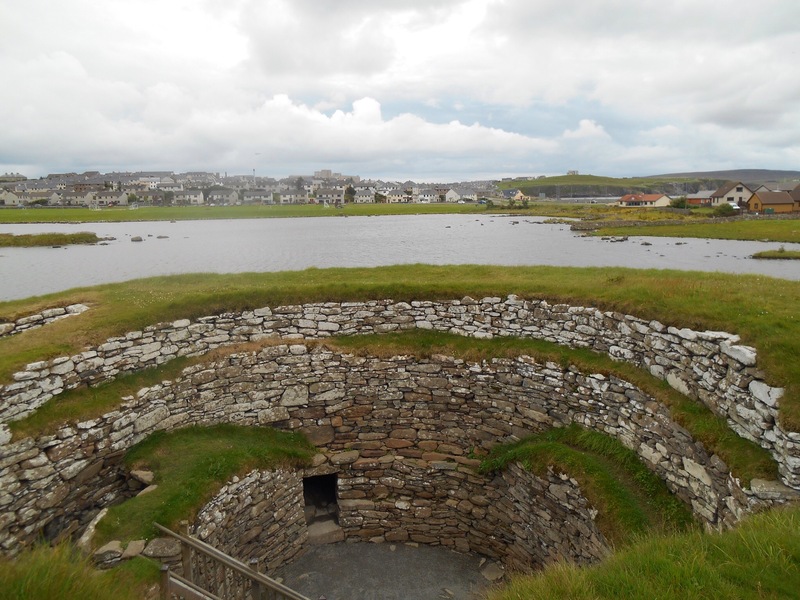 With evening approaching we had a quick visit to Clickimin Broch, a stone round house in the centre of town reminiscent of the housing from 2000 years ago. 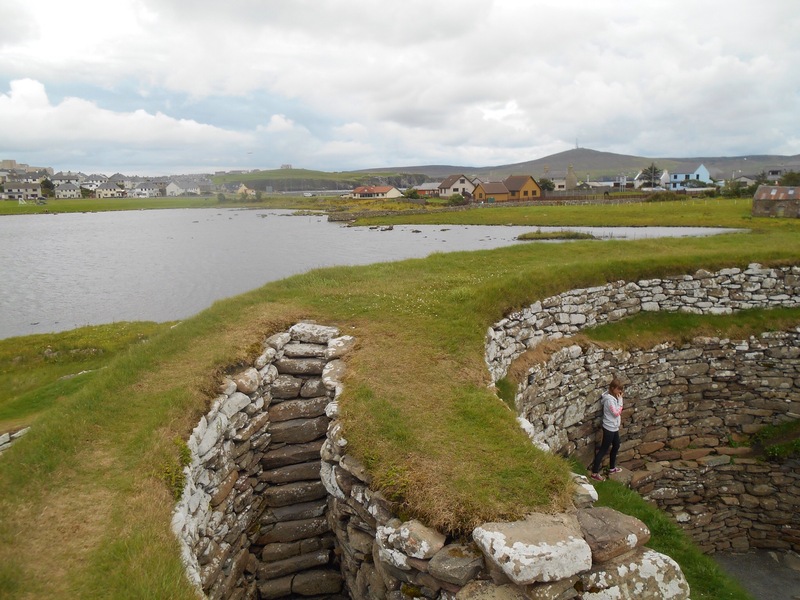 In amazing condition, the stones formed together to make neat low walls, with neat walls inside, climbing to be a well protected living area. 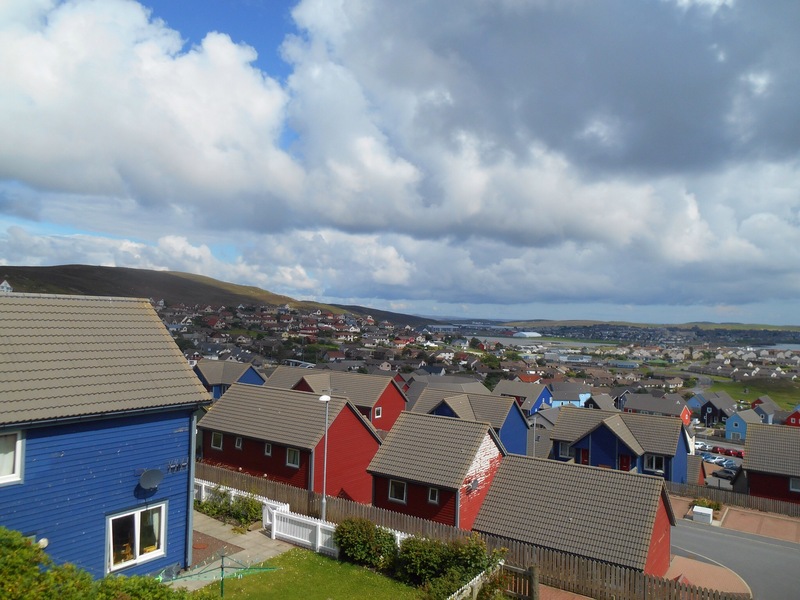 A snapshot of a totally different type of life in Shetland. 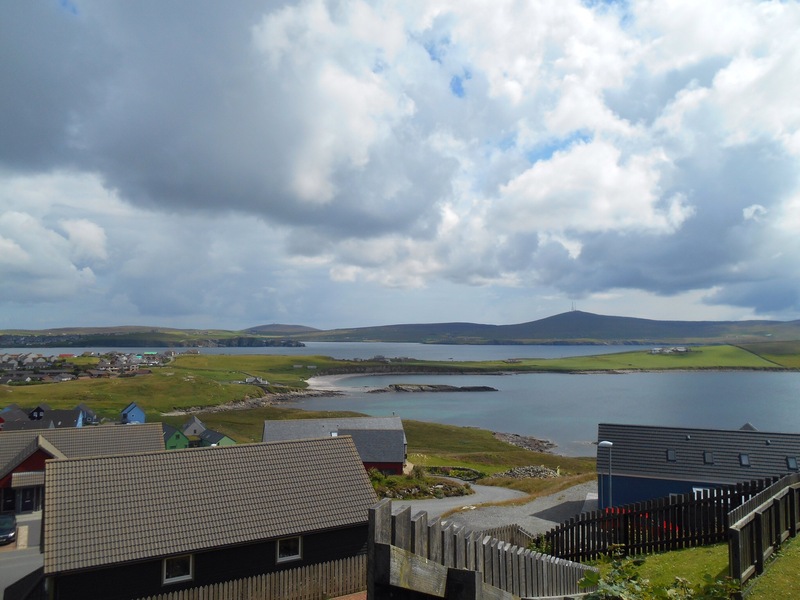 With a Scandinavian past and a Scottish present, combined with an Island mindset, Shetland has been an interesting place to visit. 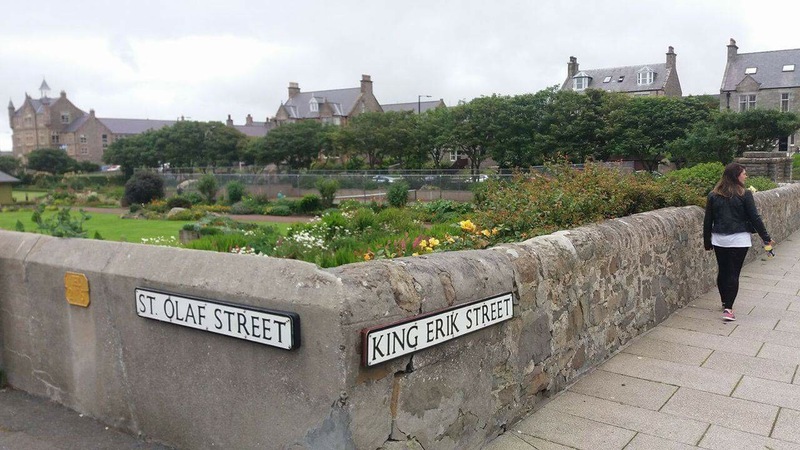 A lot of the road signs drew attention to the place names being derived from an old Norse which is very similar to present day Icelandic. 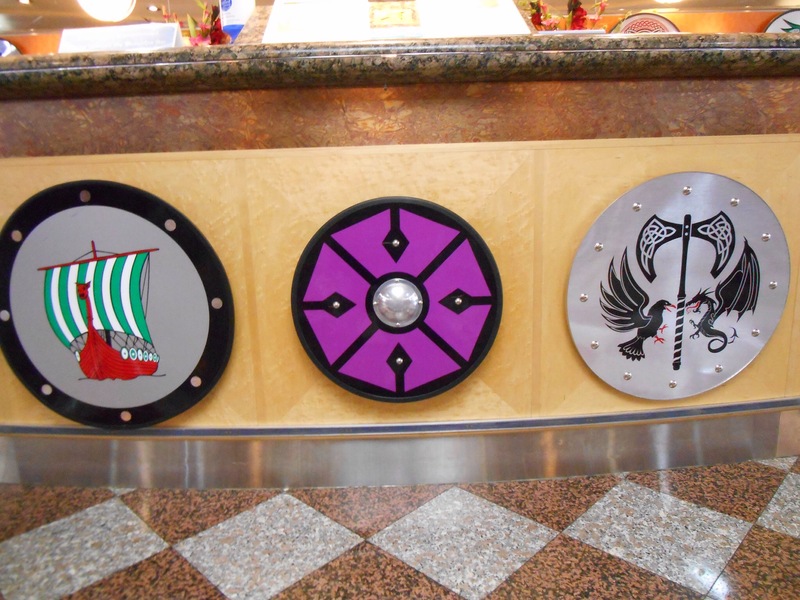 For example Tingwall is the English of Thingvollr meaning field of parliament and the same name as many places with parliamentary links in Iceland. 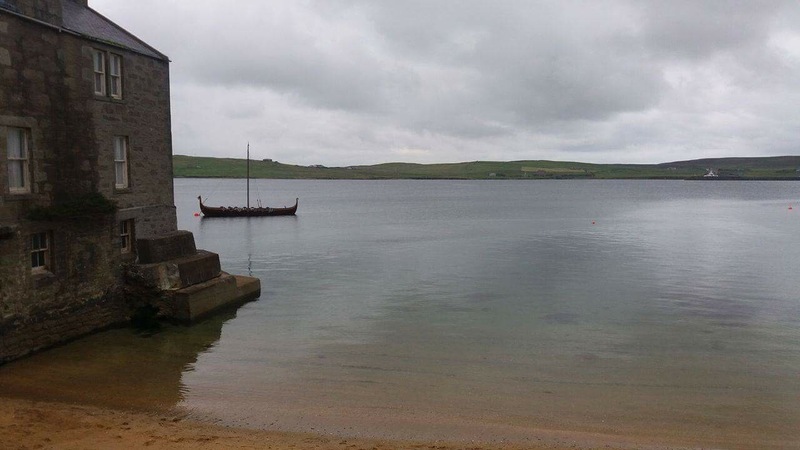 The old Norse name for Lerwick is Leirvik, meaning muddy bay, obviously similar in sound to Reykjavik or Husavik in Iceland. 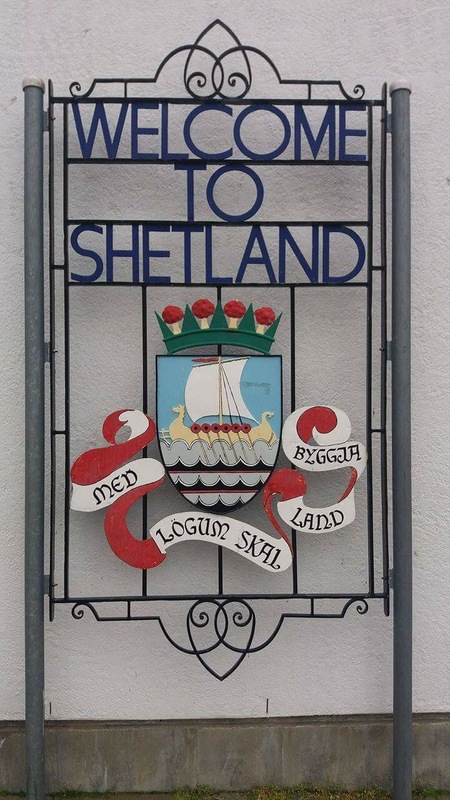 While part of Scotland, the Shetland flag takes the same shape of much of the Scandinavian flags, showing this interesting confluence of history and culture which maybe had much more significance for me after our recent time there. 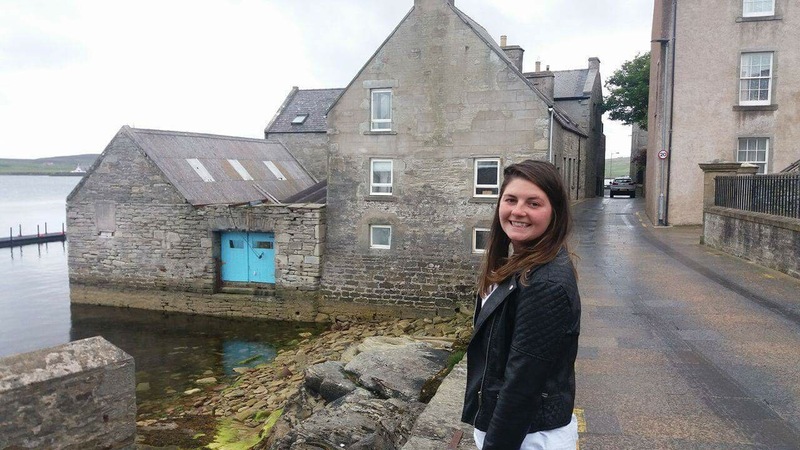 So all I will say is….Thank you for coming all the way up to Shetland to visit my home, family and friends, Lauren. 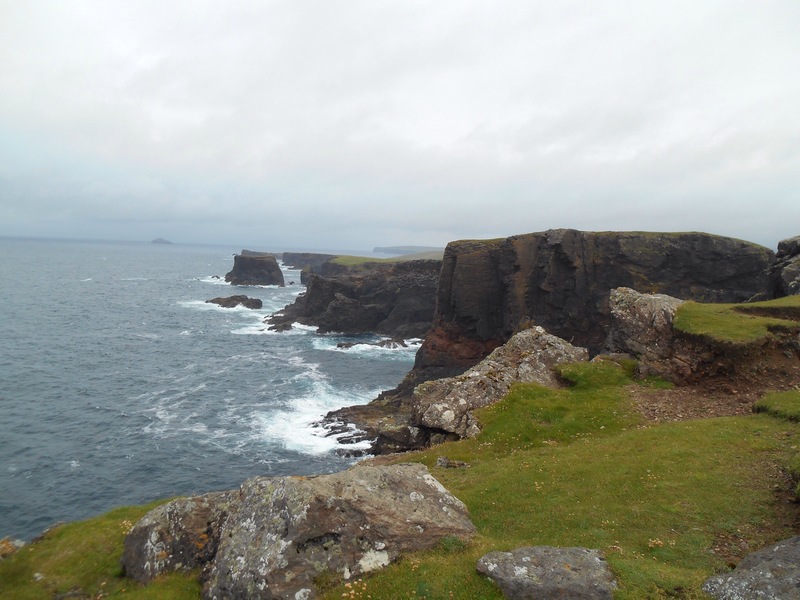 The unpredictable Shetland weather and my slight hangover after a night listening to traditional Shetland music means there are still a few un-ticked activities on the checklist, and many more to add. 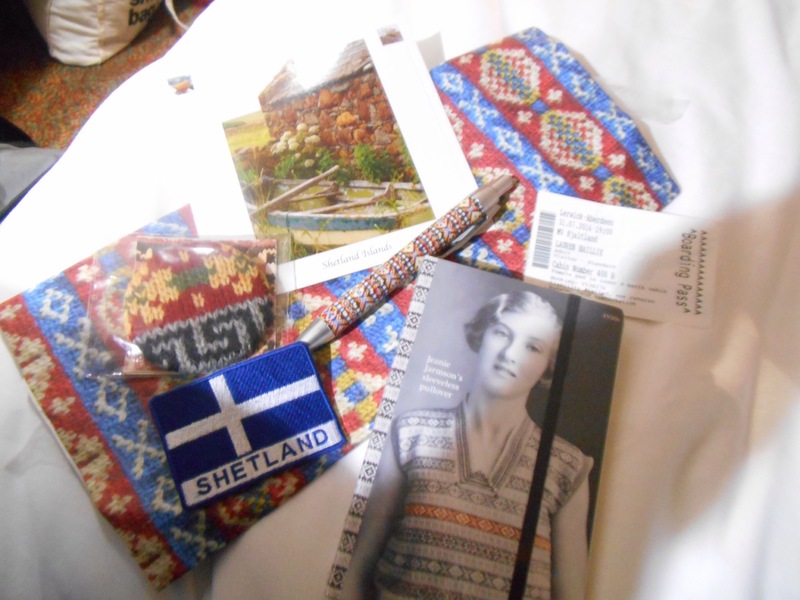 Up Helly Aa | Shetland Folk Festival, exploring by bike and so many more-So I hope there will be a next time! As always its been hilarious, memorable and fun to join you as a tourist around my own home. 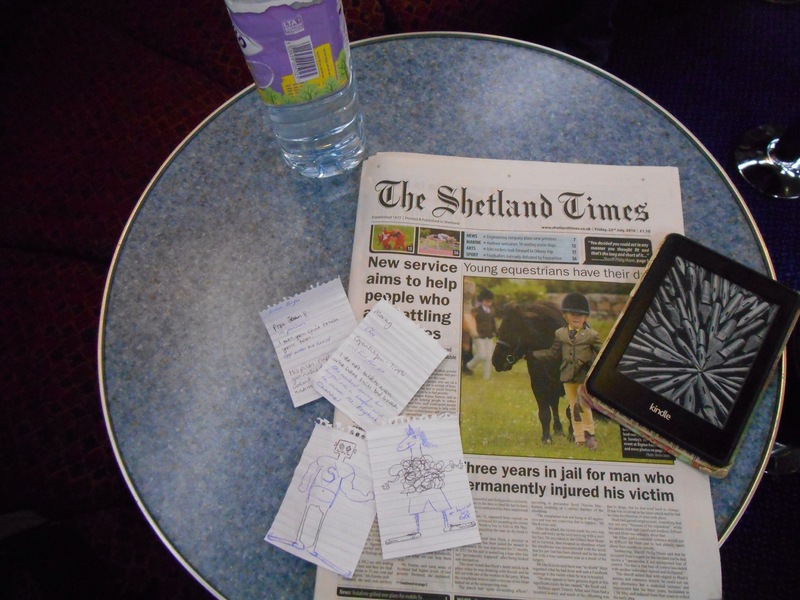 Until the next chapter together (in two weeks time), Good Bye from Shetland!